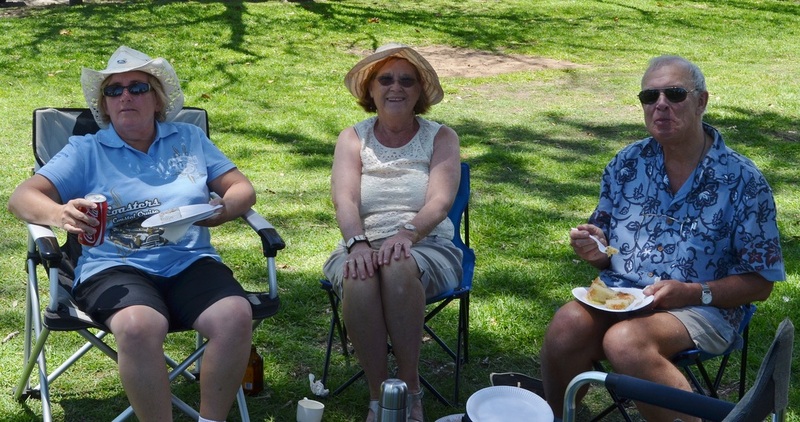 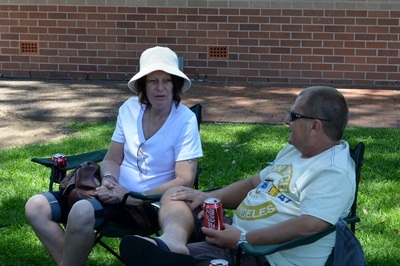 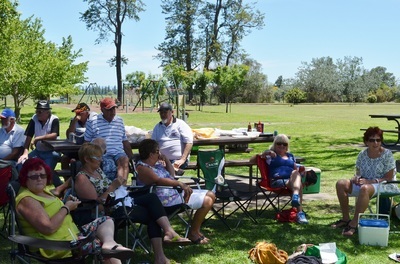 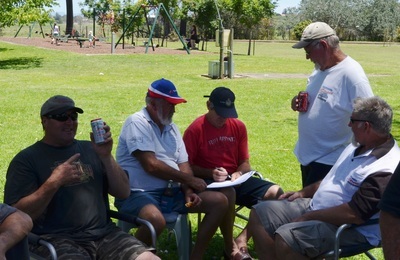 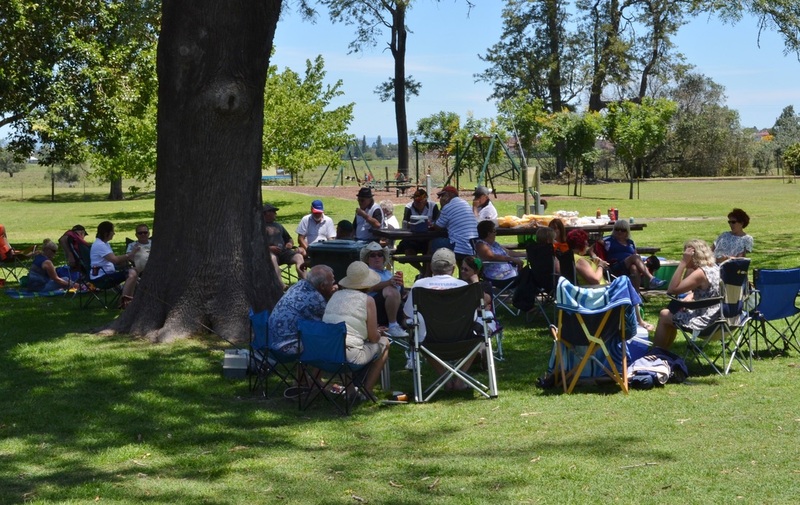 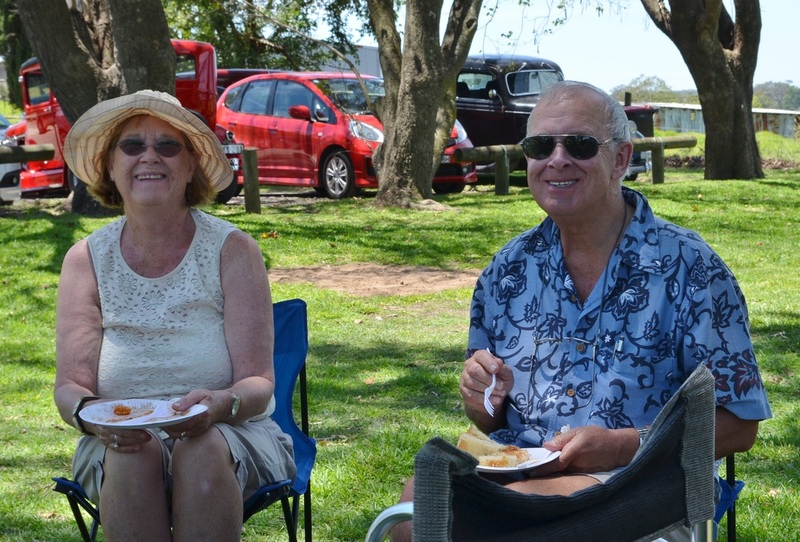 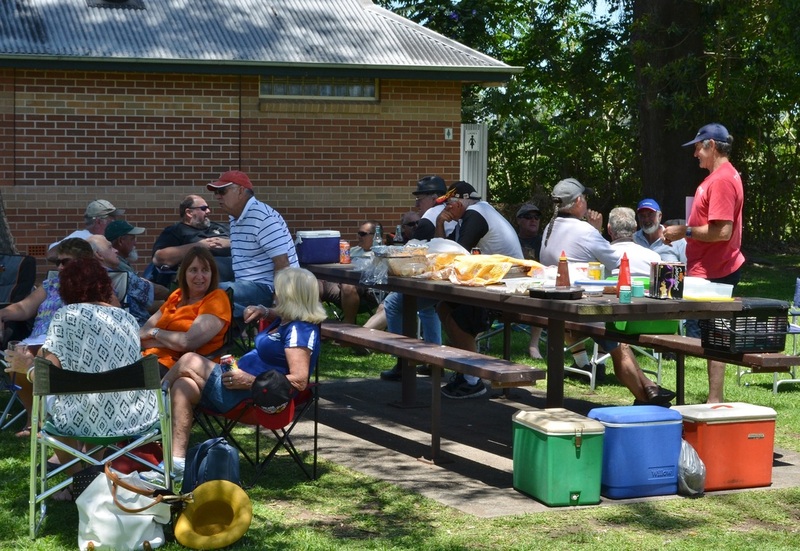 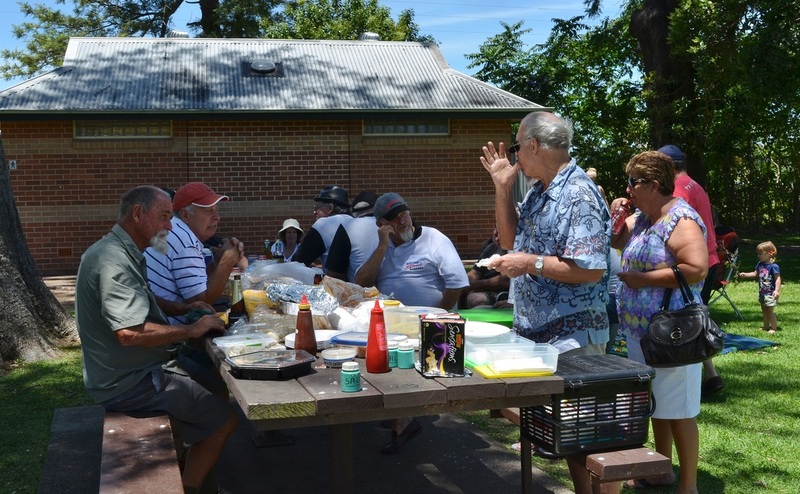 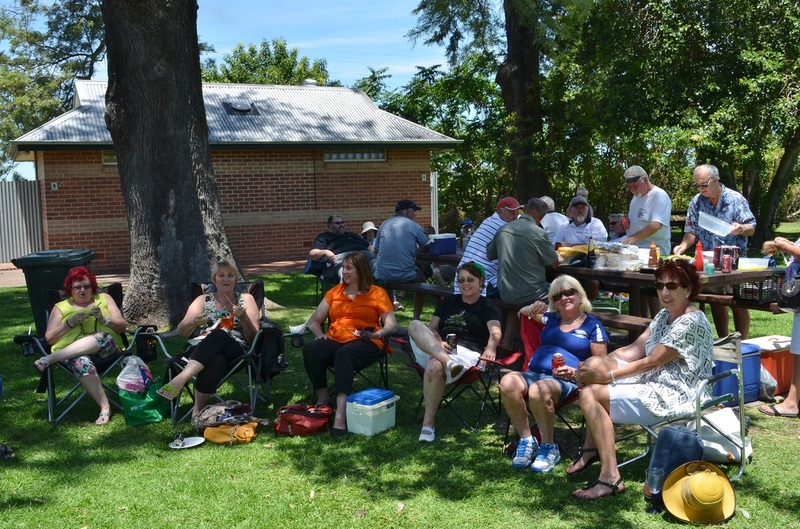 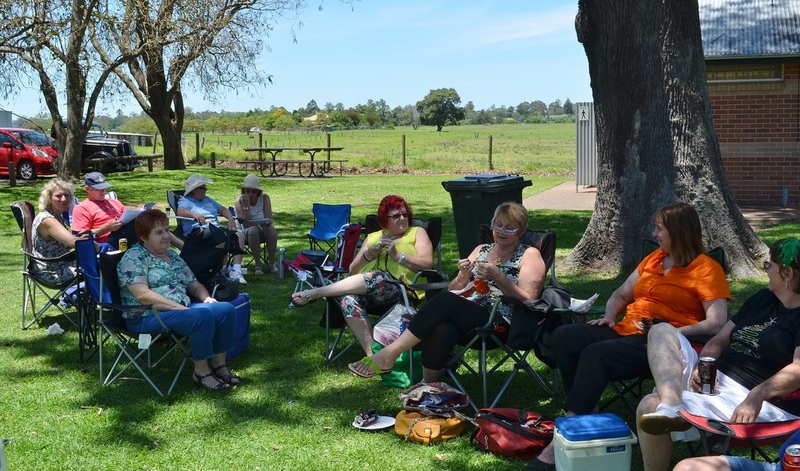 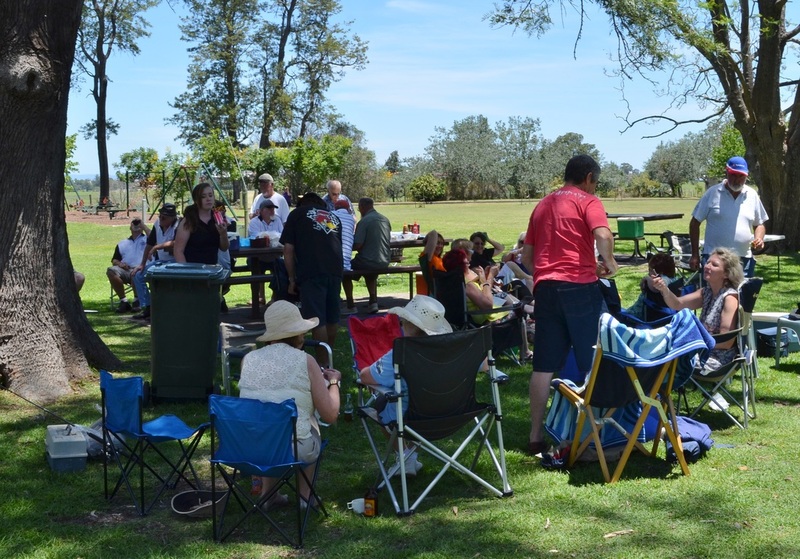 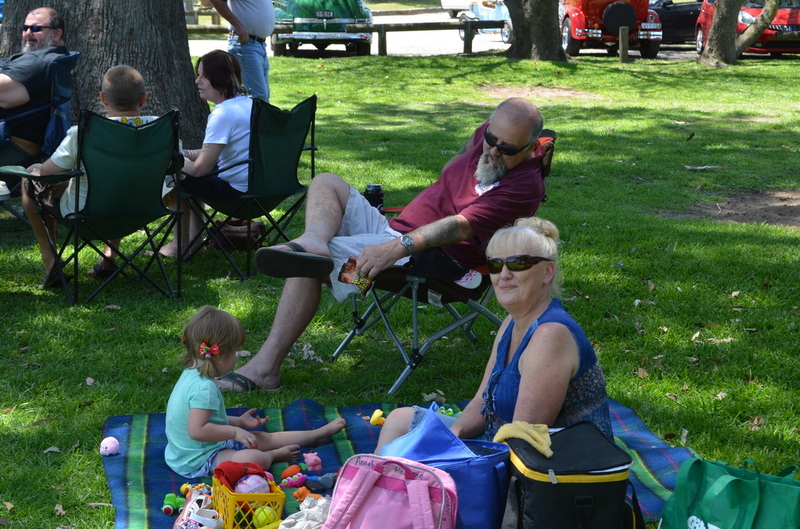 With great weather and company our end of year Christmas BBQ was one of the best attended events the club has had in years. 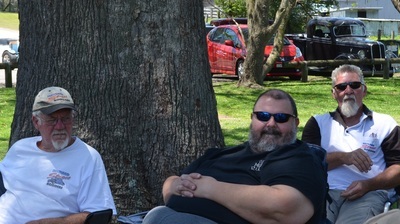 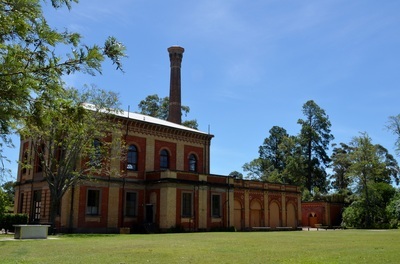 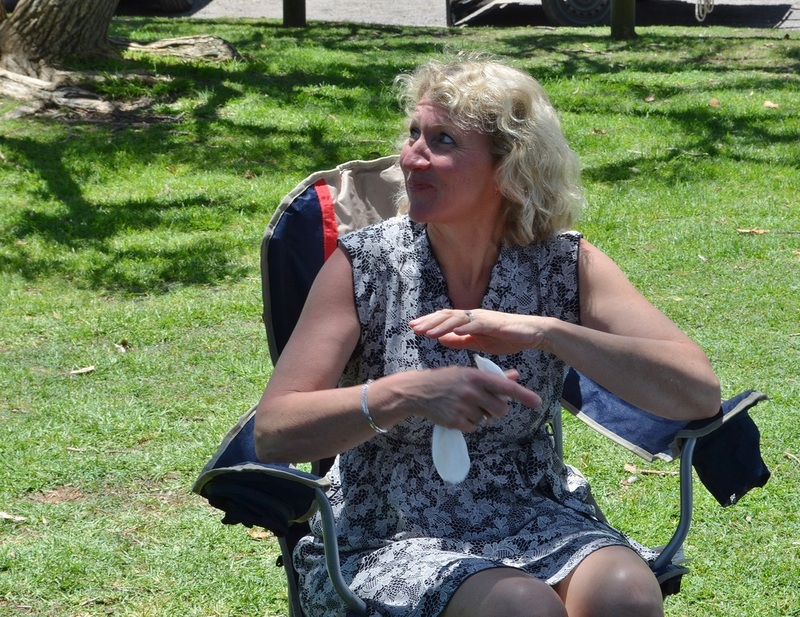 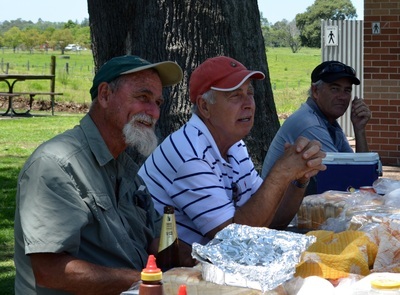 Twenty of our members were able to make the BBQ which was held at Walka Water Works. 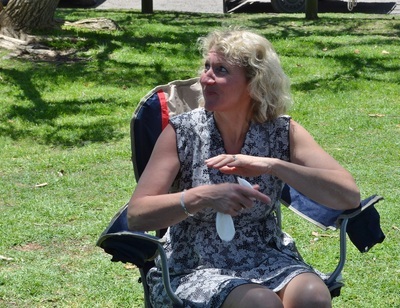 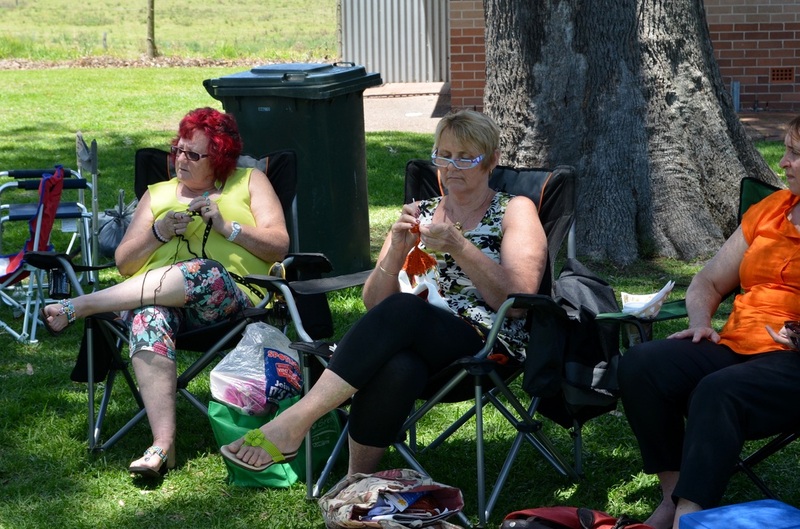 The first arrived at about 10am to secure a terrific position in the shade and the last left after 5pm. 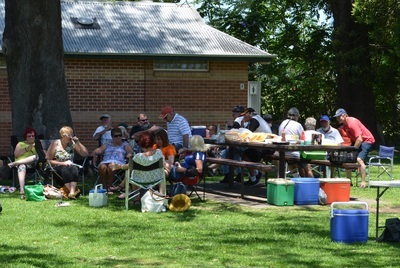 Thanks to all those who helped by buying and bringing everything needed to make the day a success as well as the cooks. 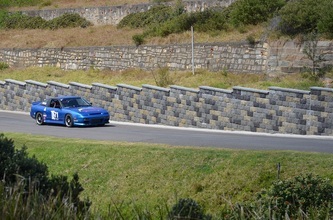 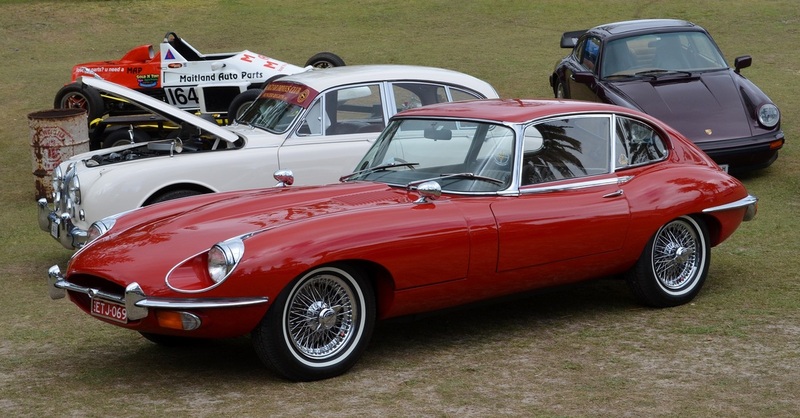 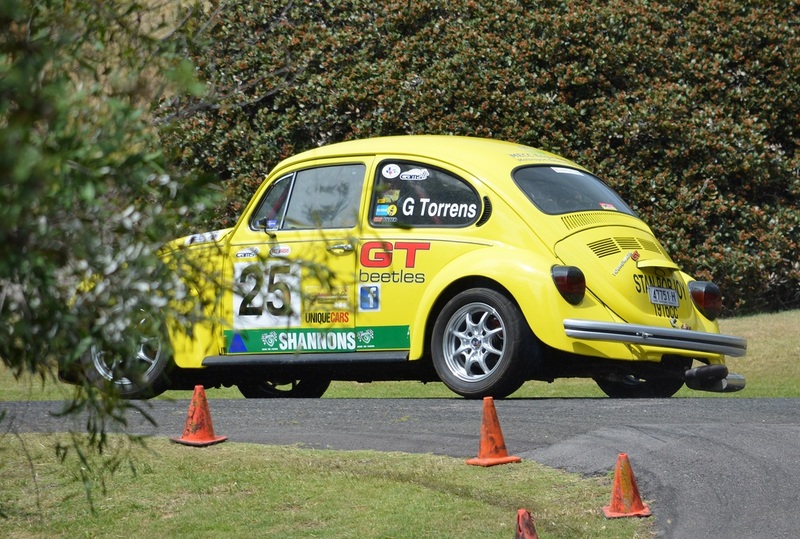 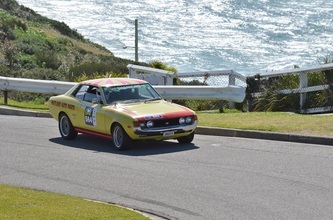 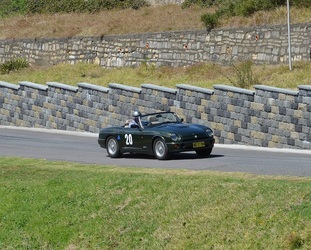 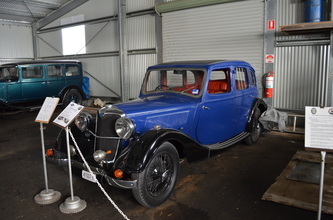 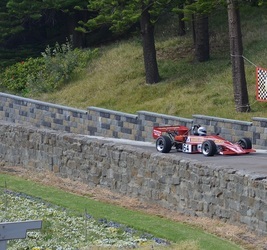 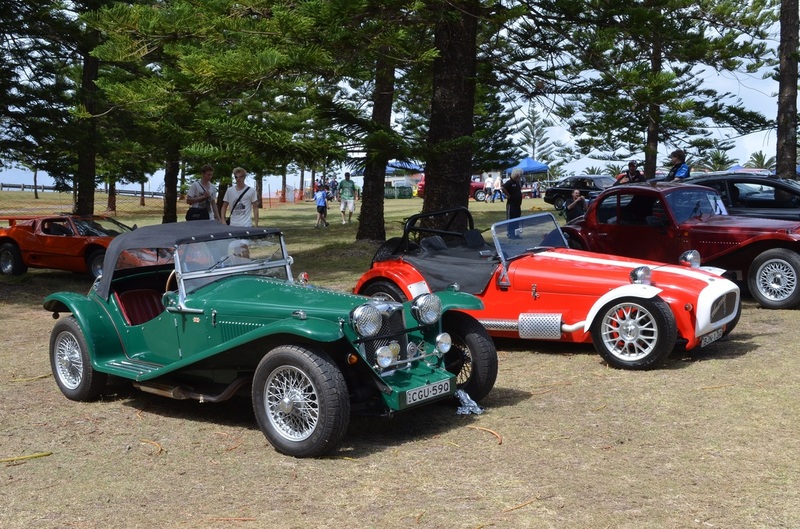 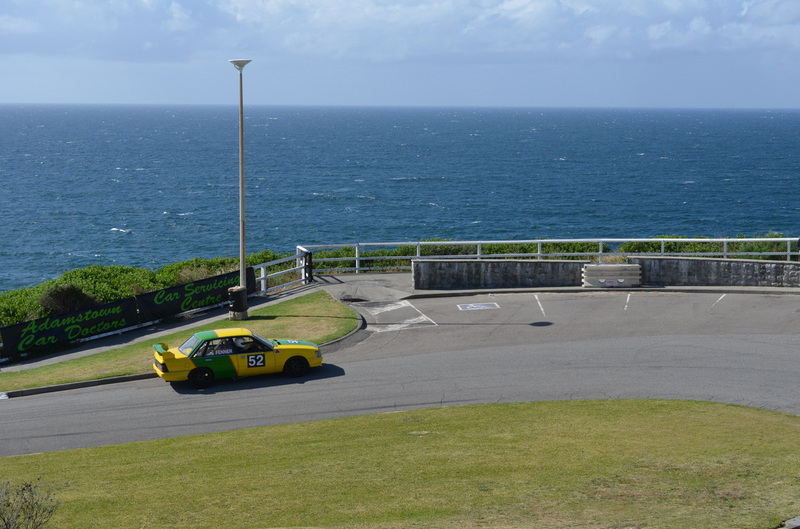 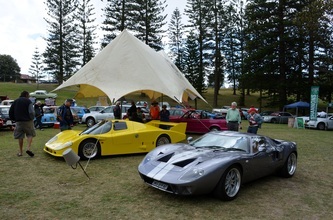 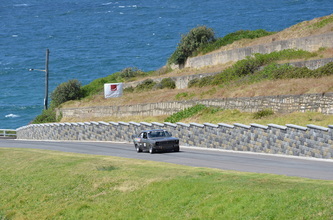 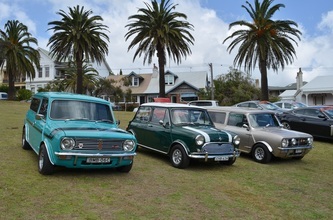 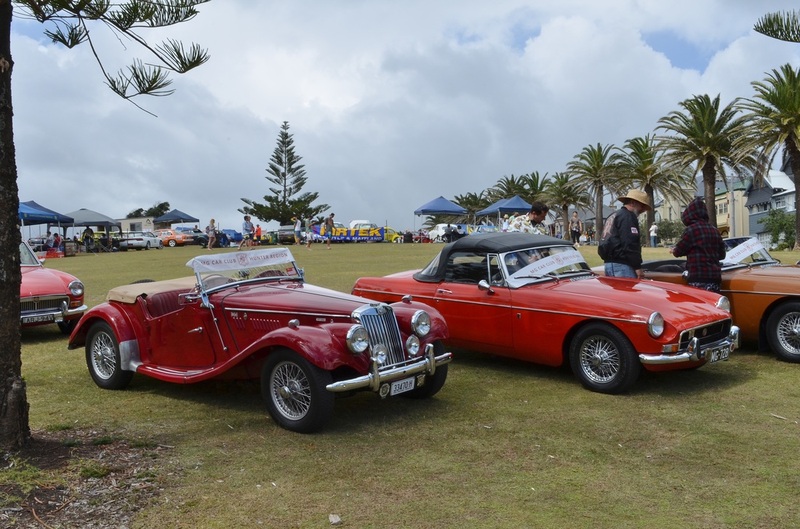 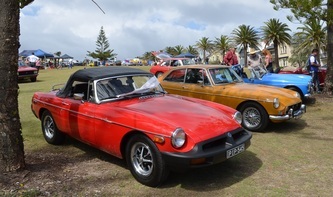 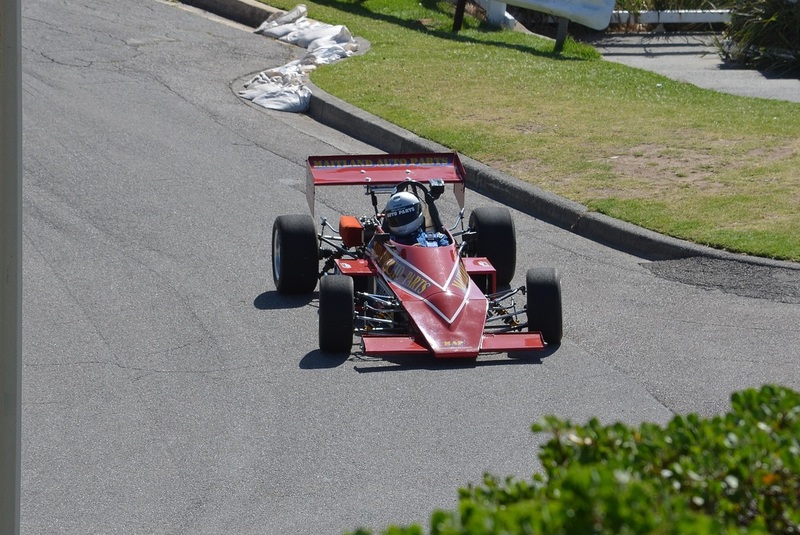 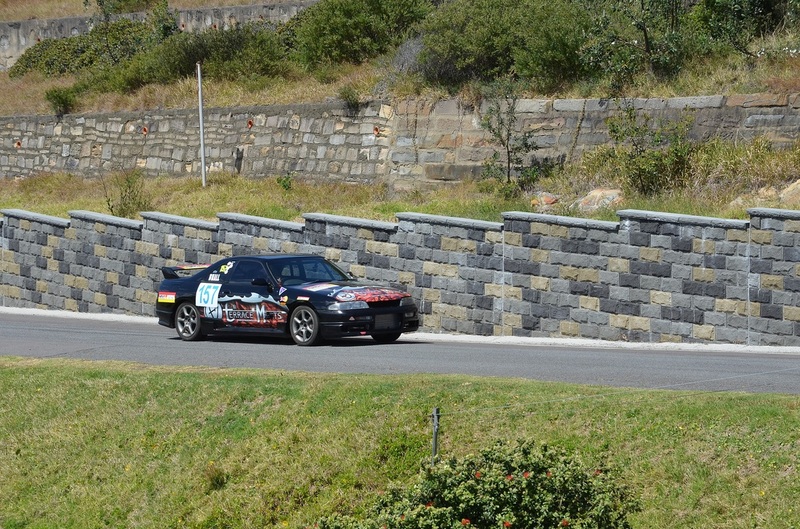 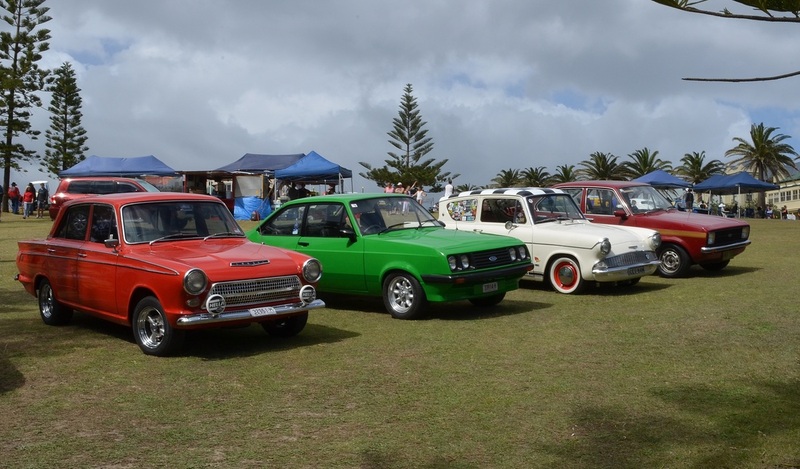 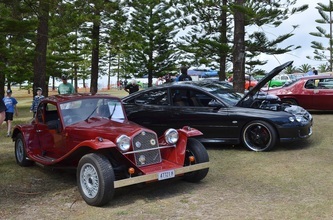 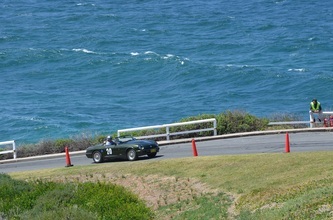 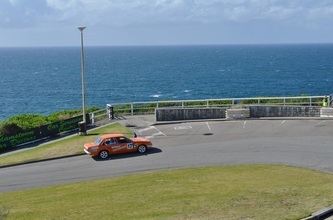 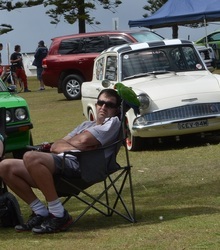 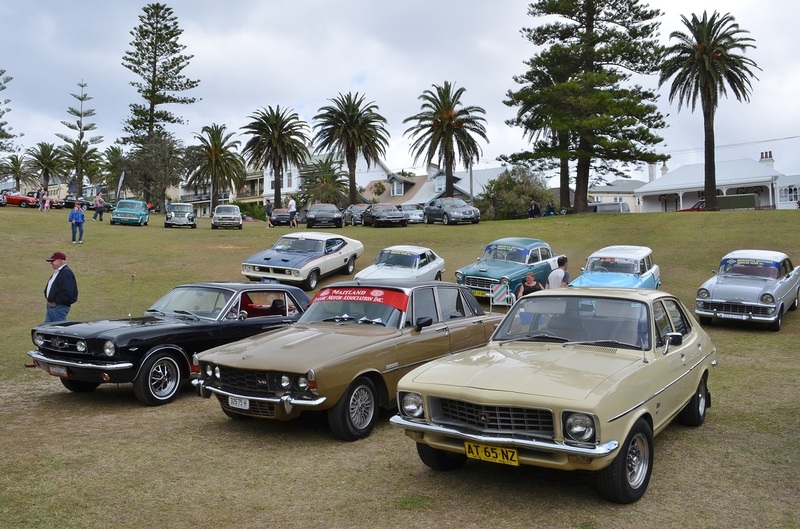 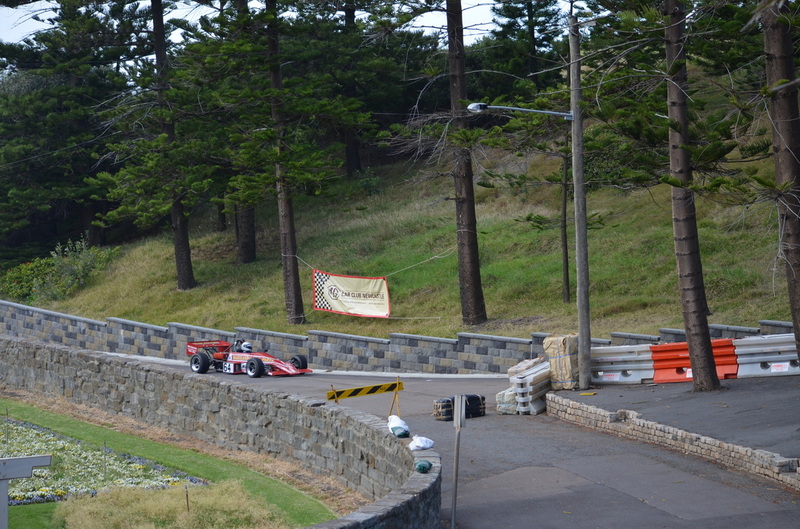 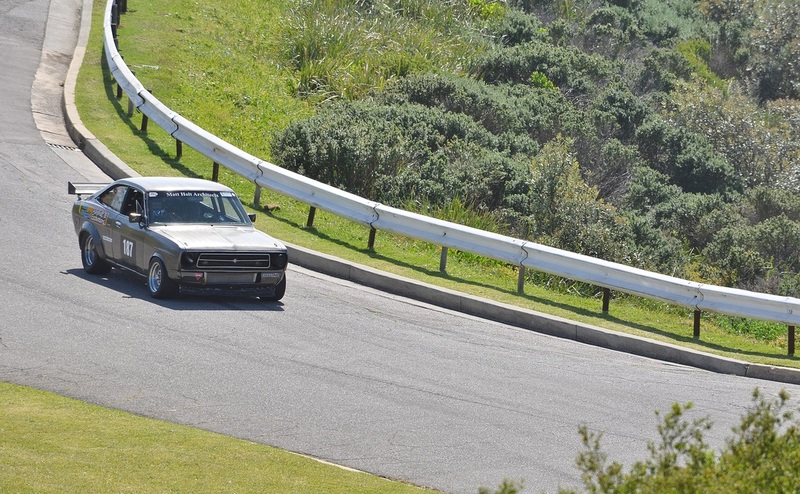 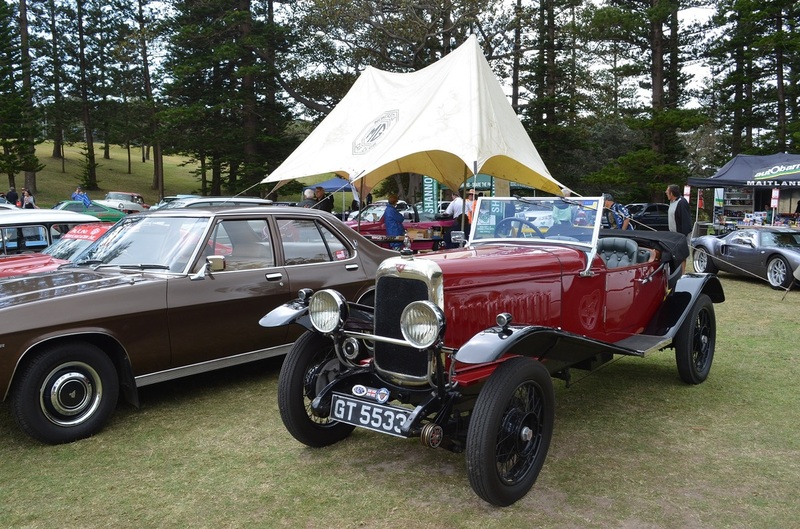 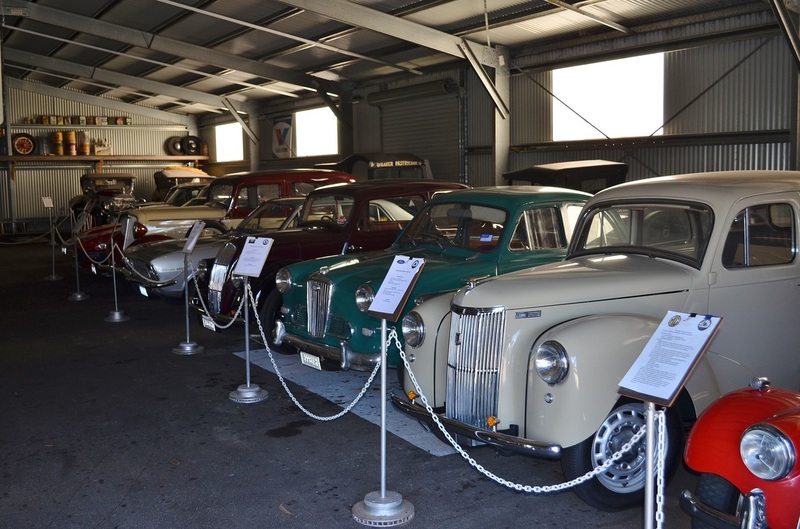 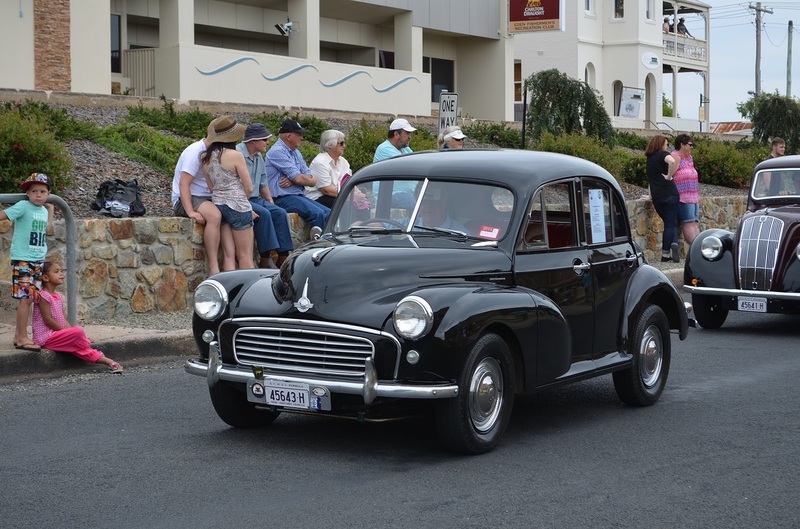 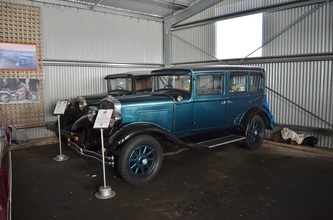 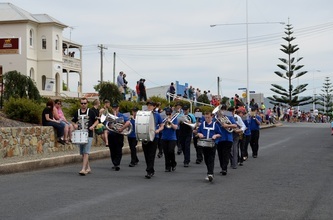 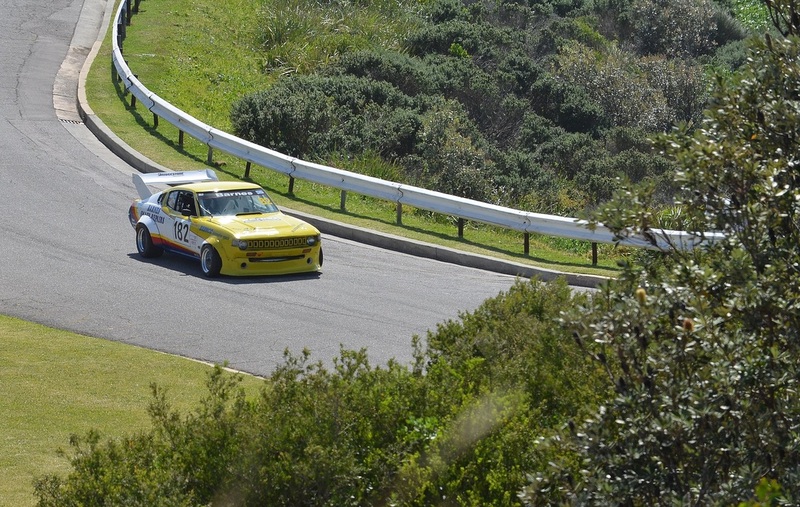 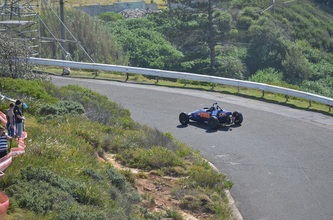 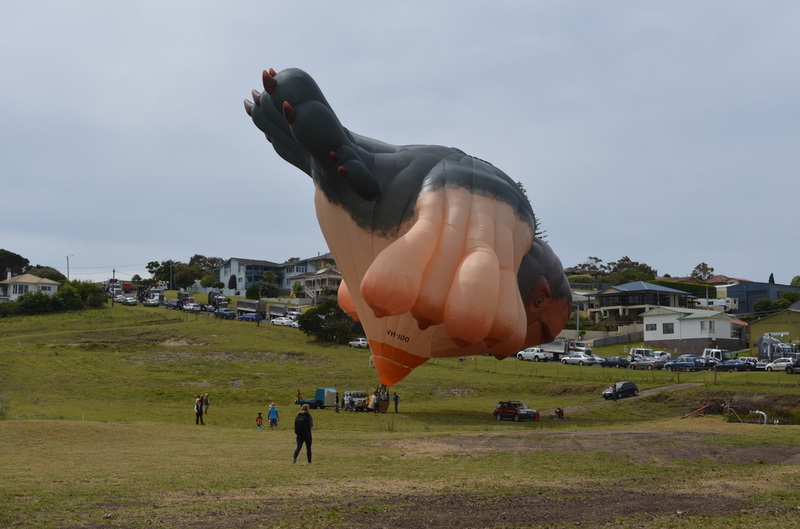 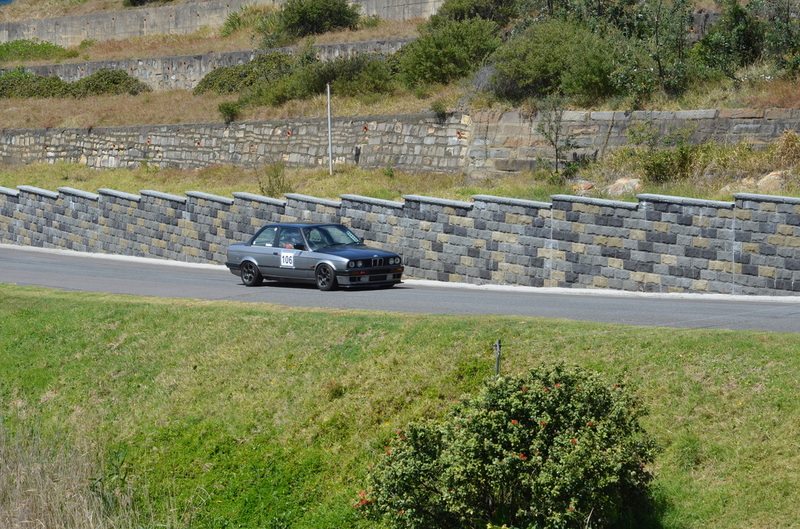 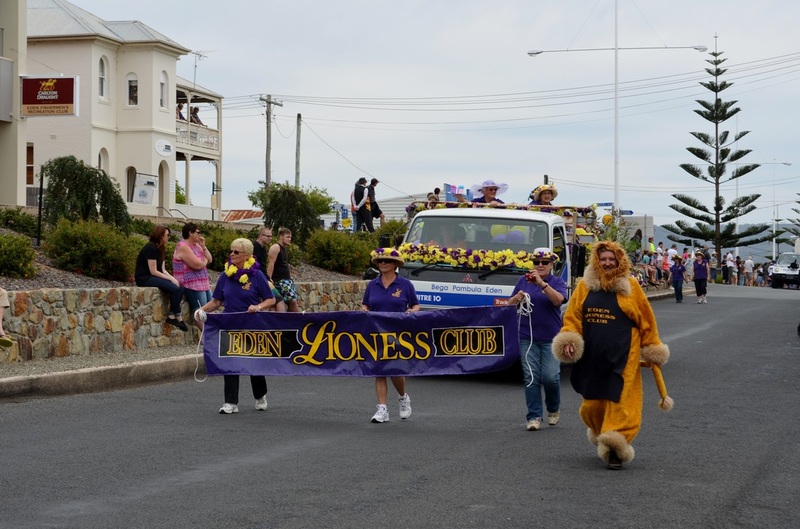 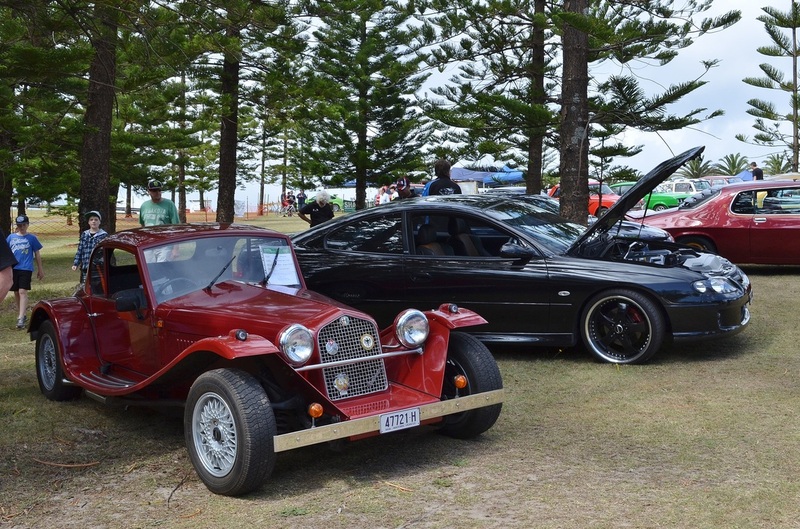 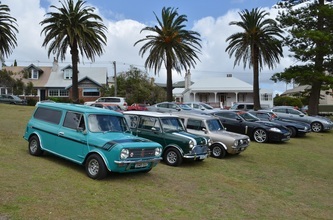 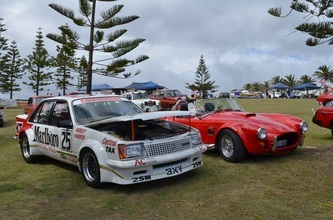 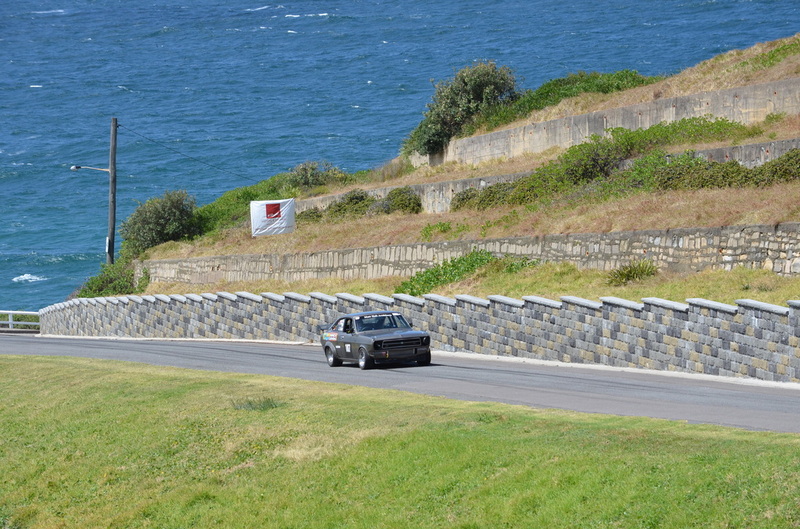 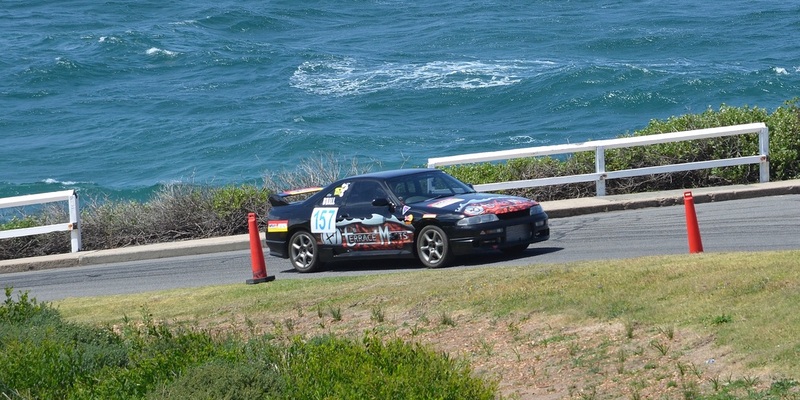 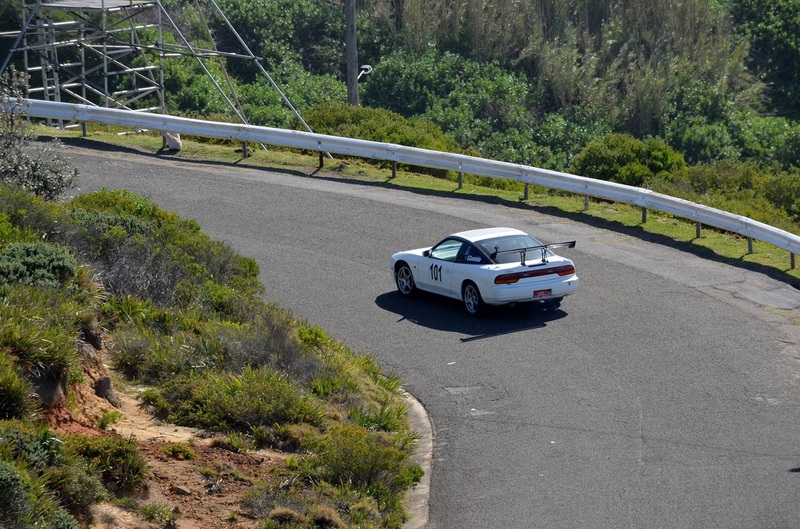 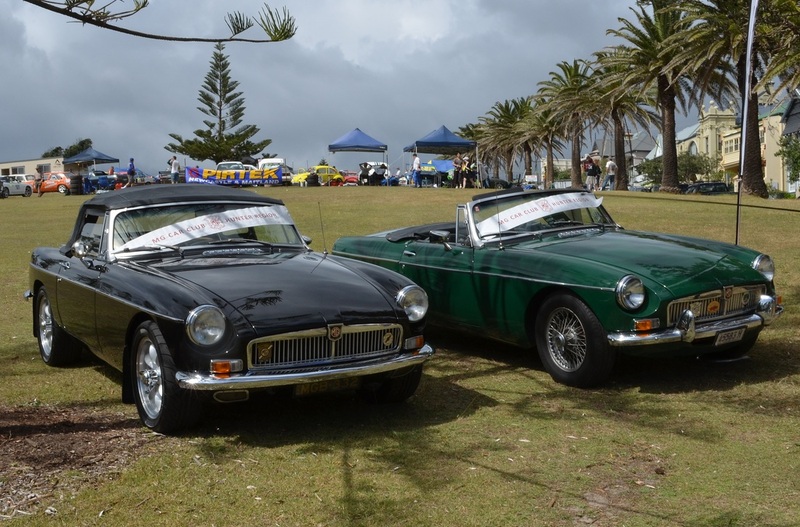 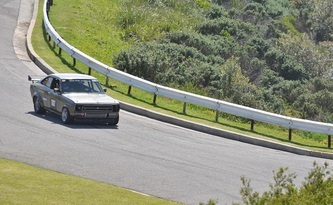 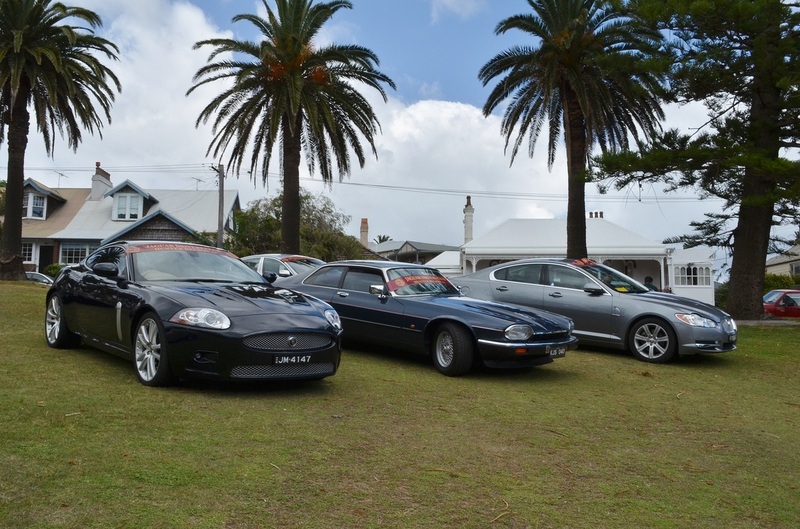 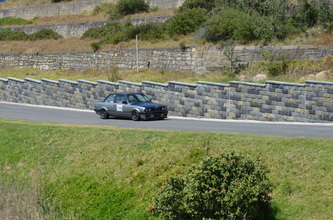 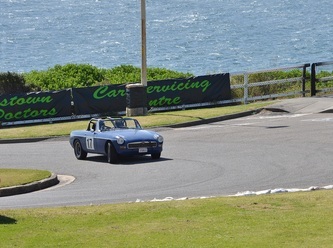 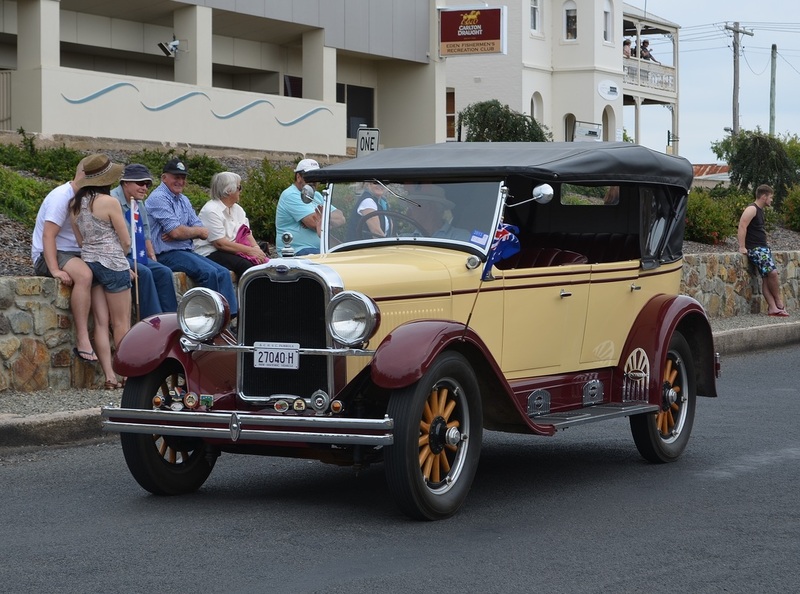 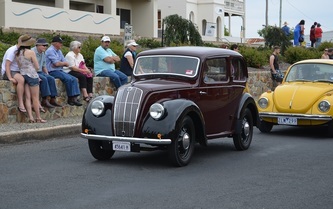 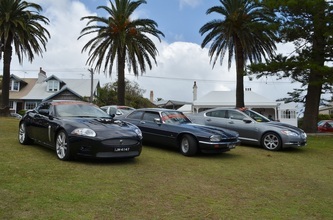 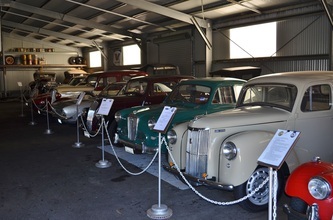 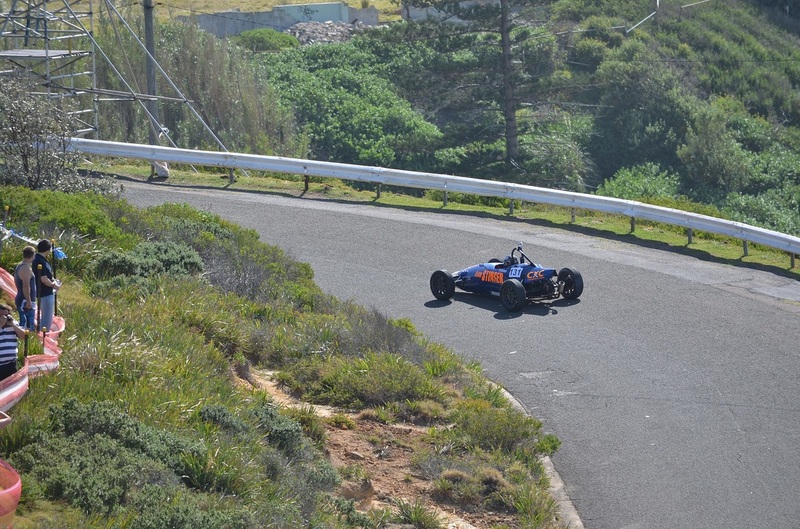 On the long weekend in October the MG Car Club ran the Mattara Hill Climb and on the Monday they had a show and shine as well. 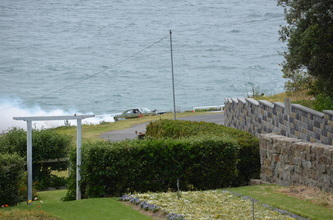 The day was windy and mainly fine with a few light showers that did not last more than a couple of minutes. 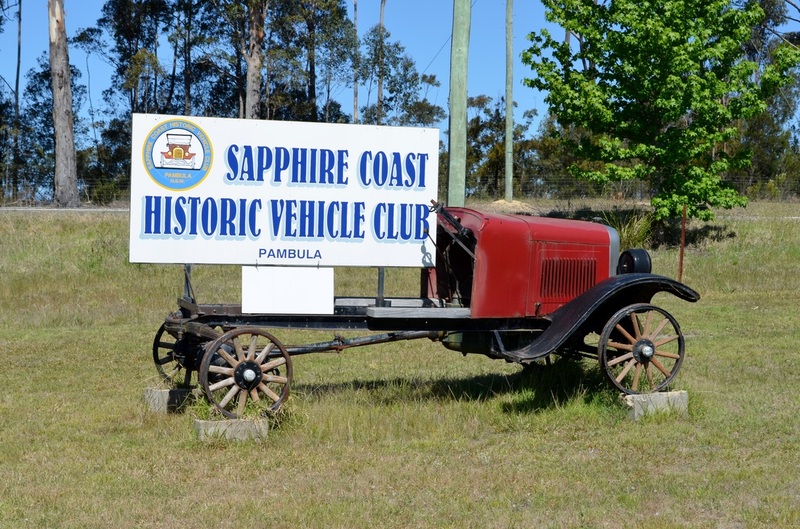 Seven of our members attended the event and had a good time looking at the 100 vehicles in the show and shine and watching the hill climb. 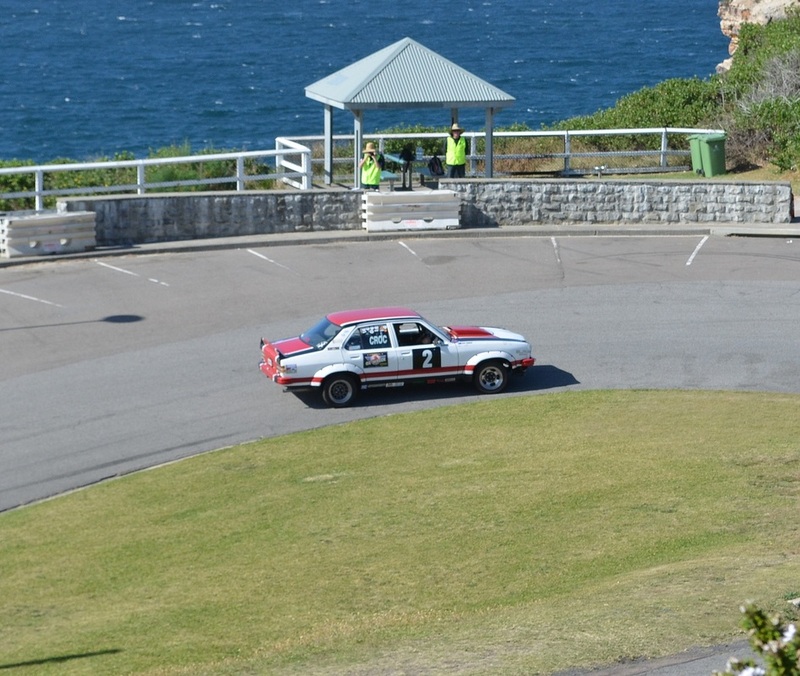 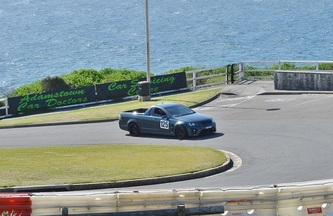 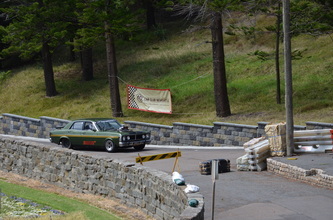 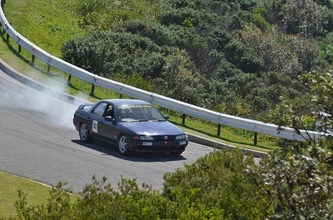 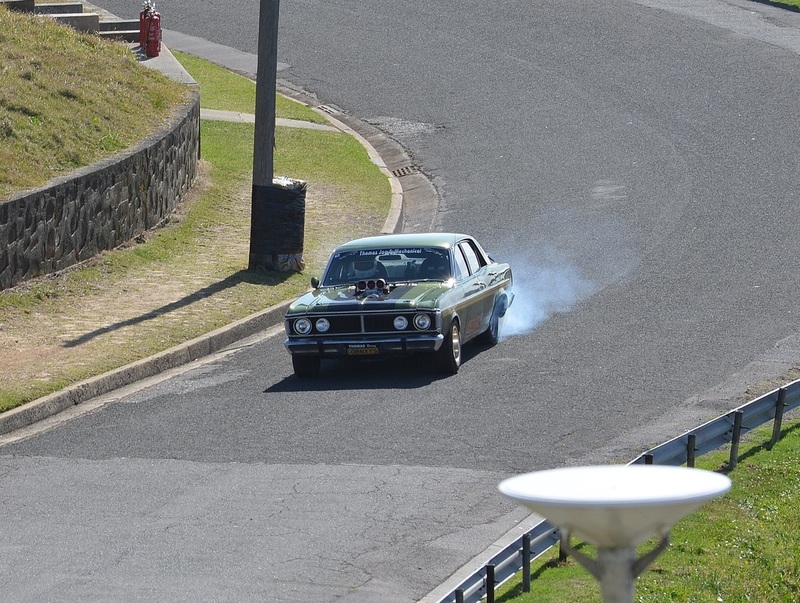 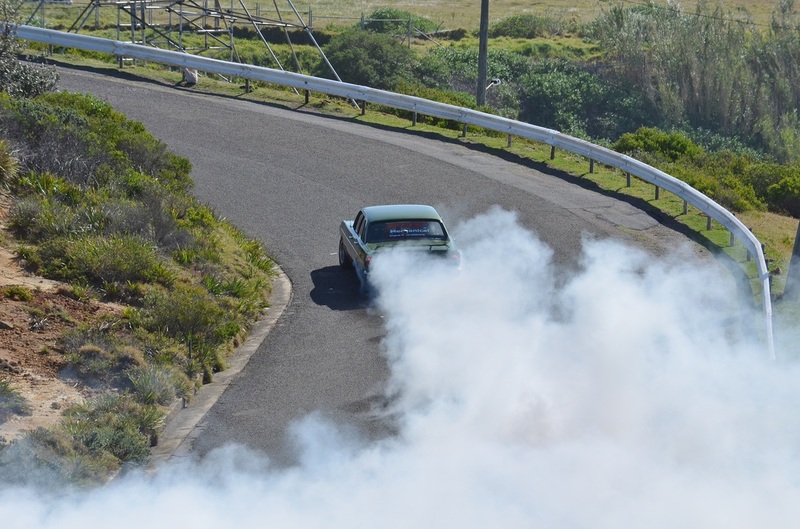 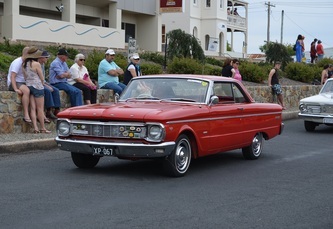 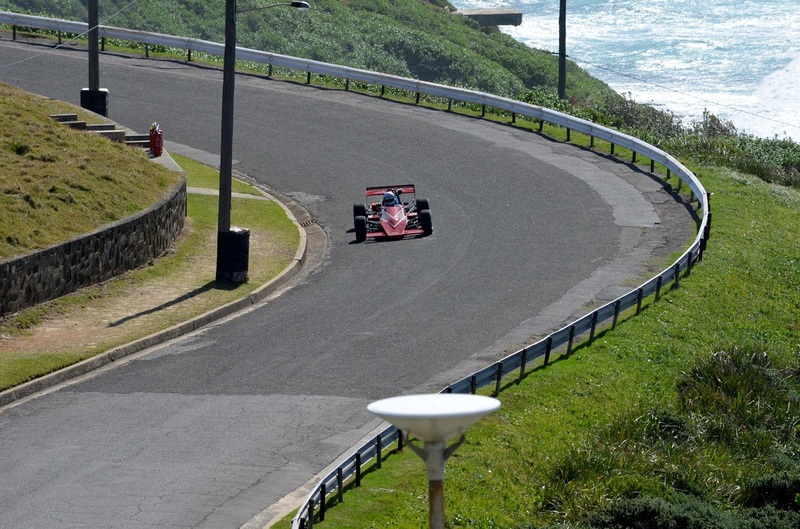 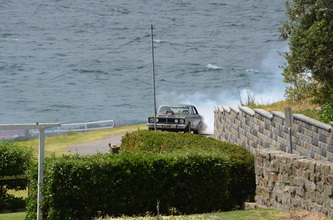 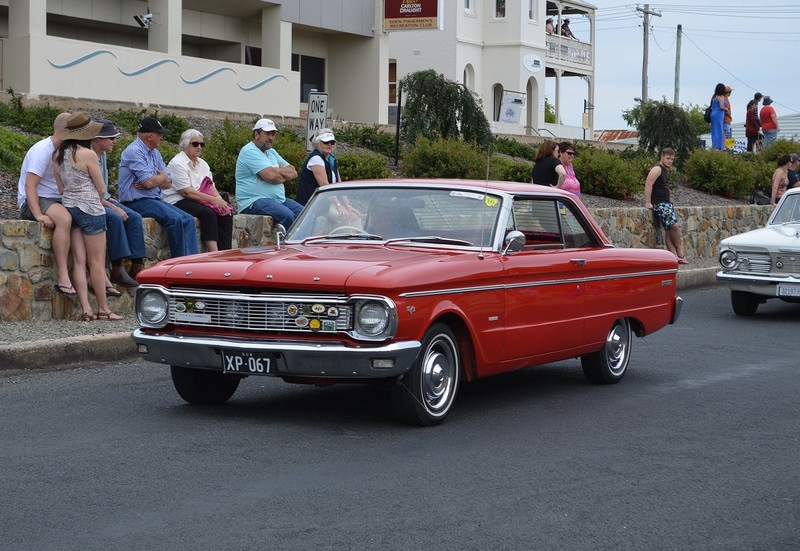 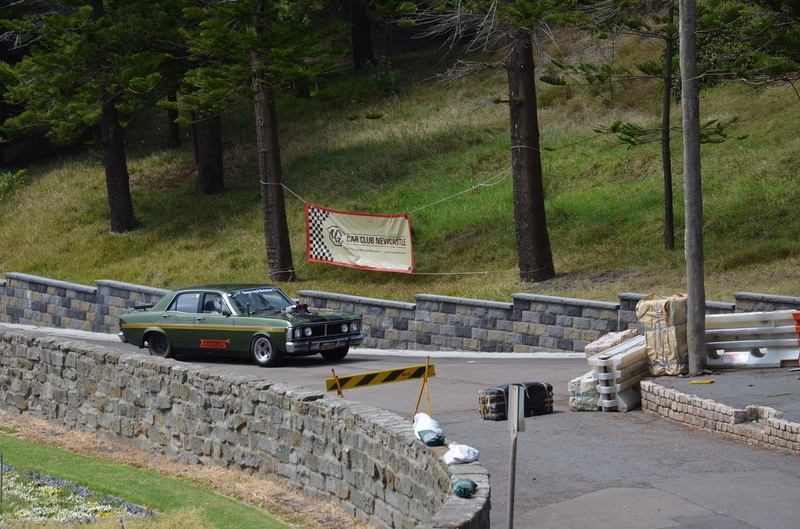 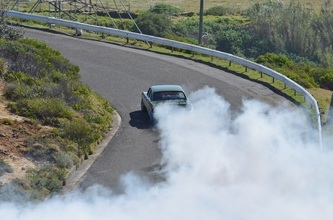 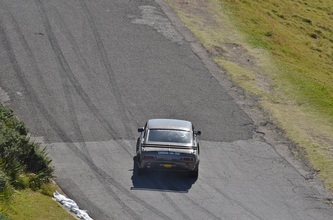 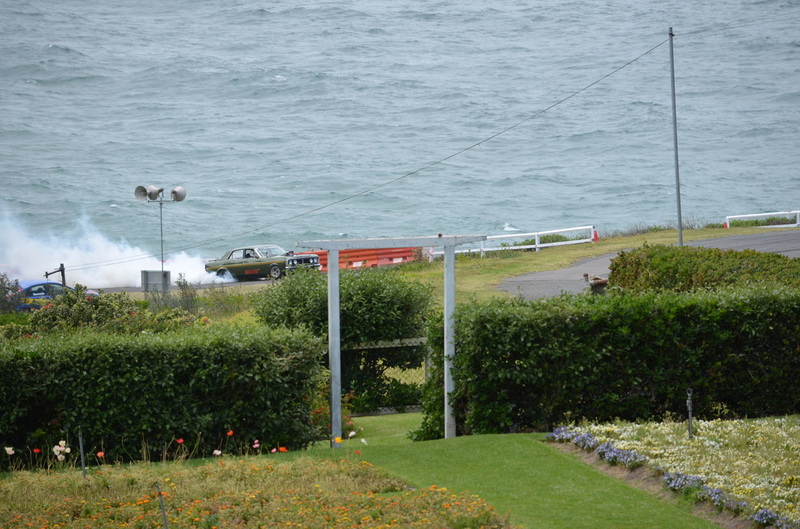 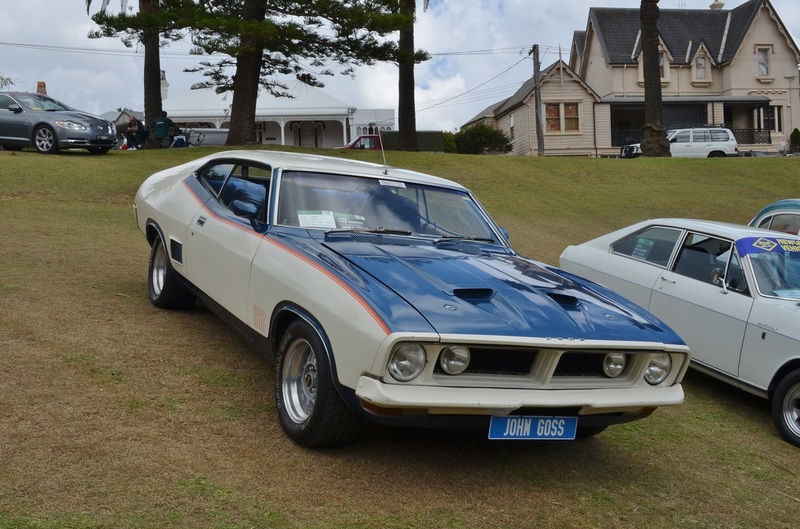 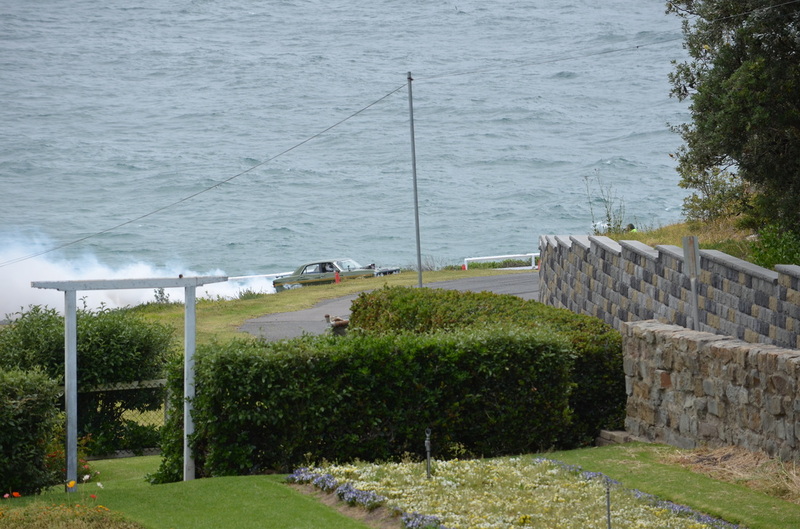 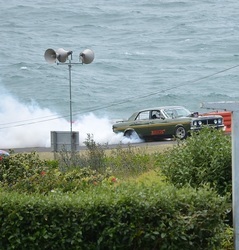 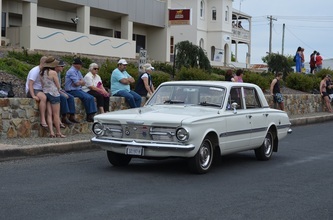 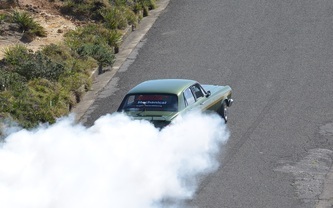 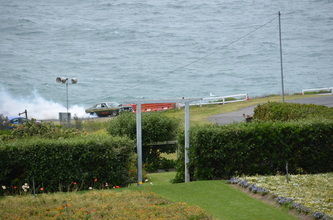 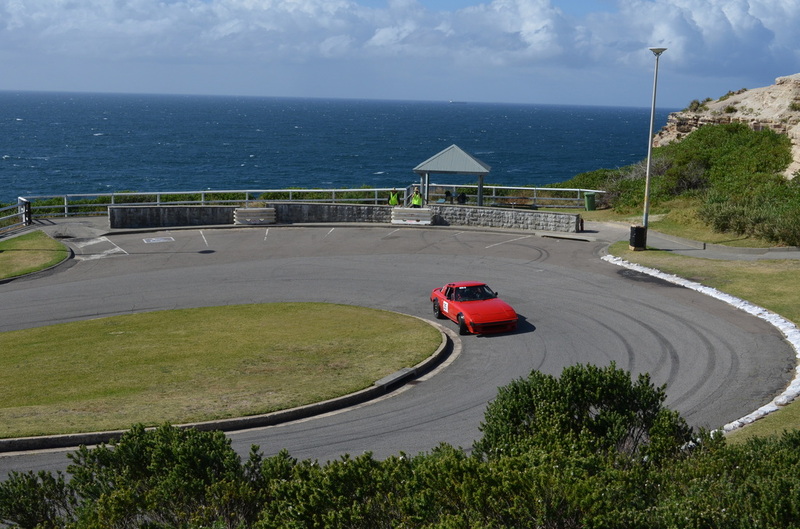 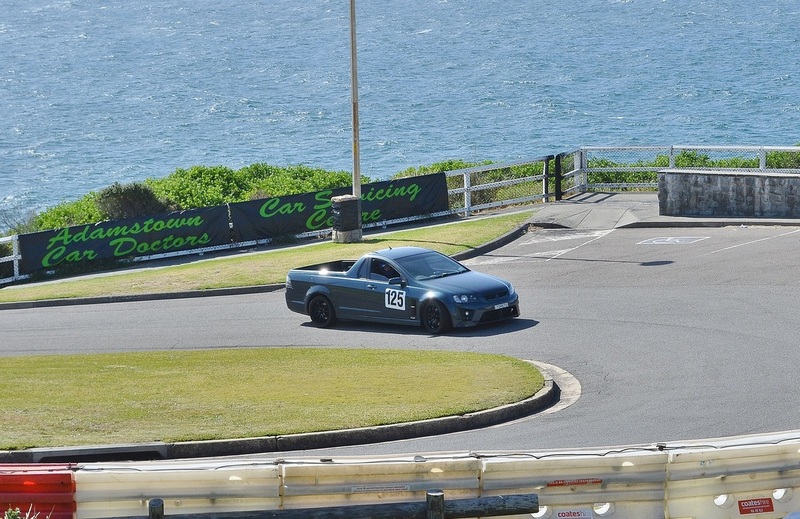 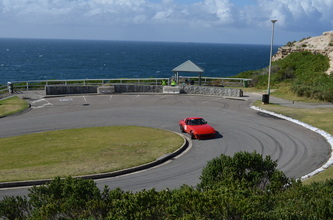 A GT Falcon put on the show of the day preferring to do burn outs rather than posting a quick time to the top. 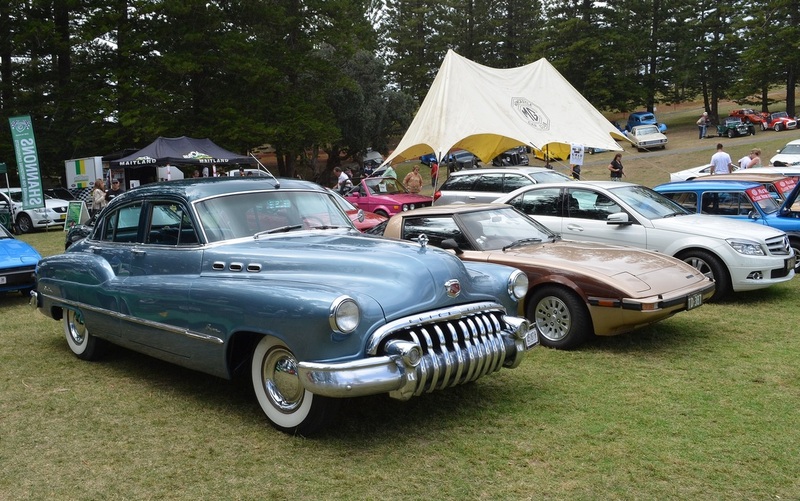 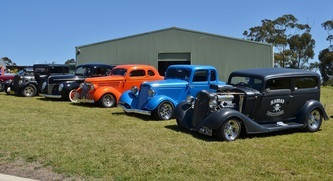 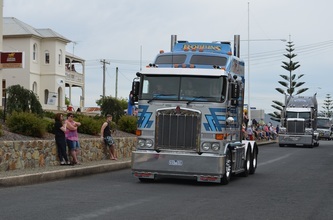 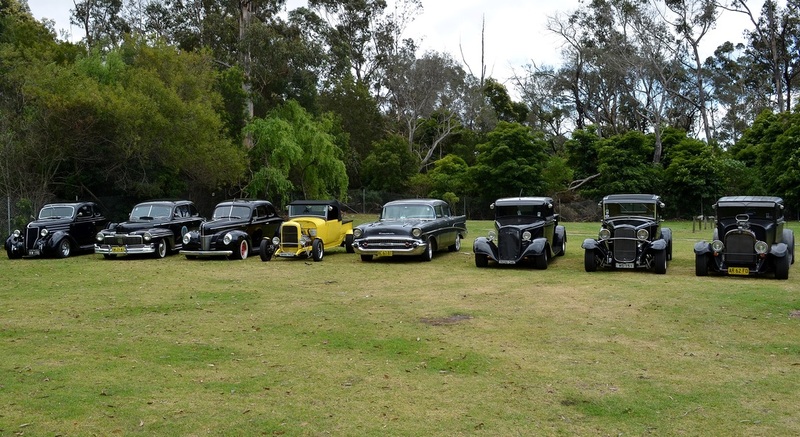 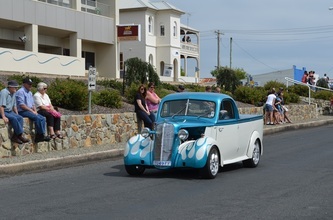 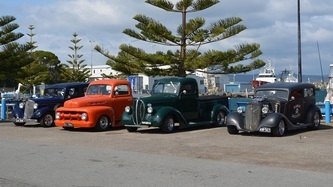 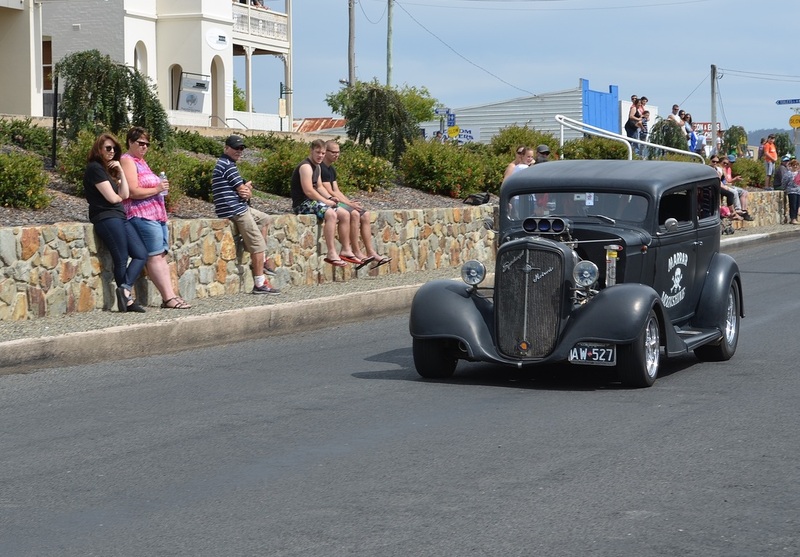 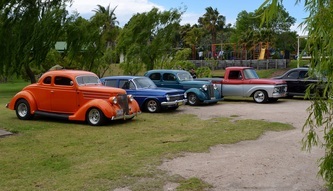 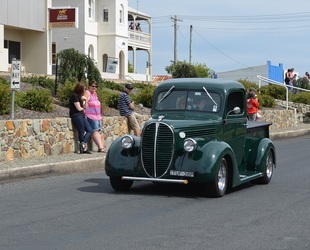 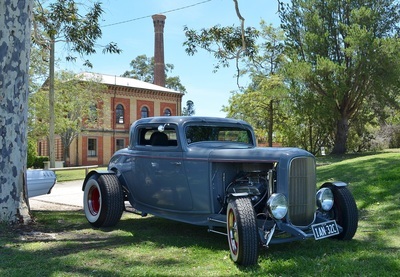 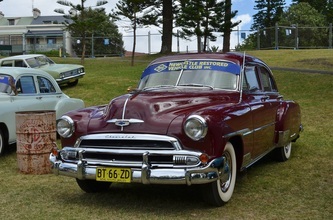 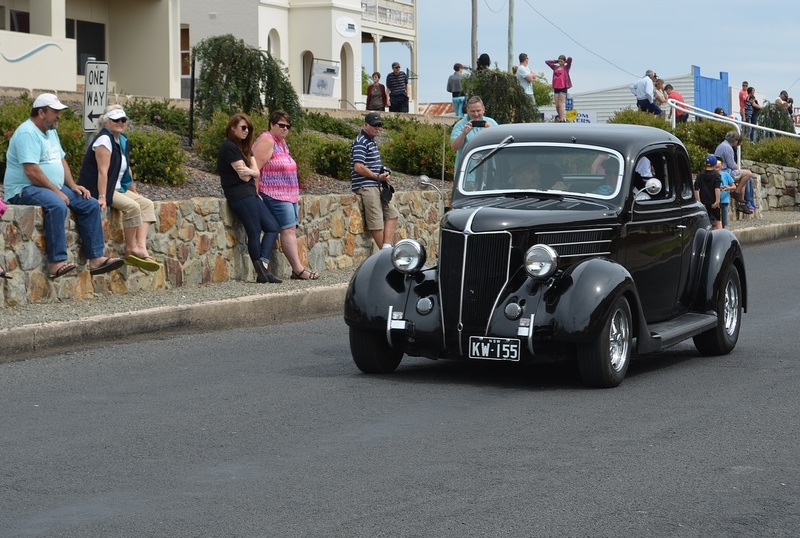 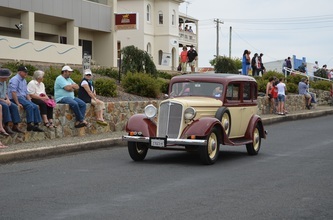 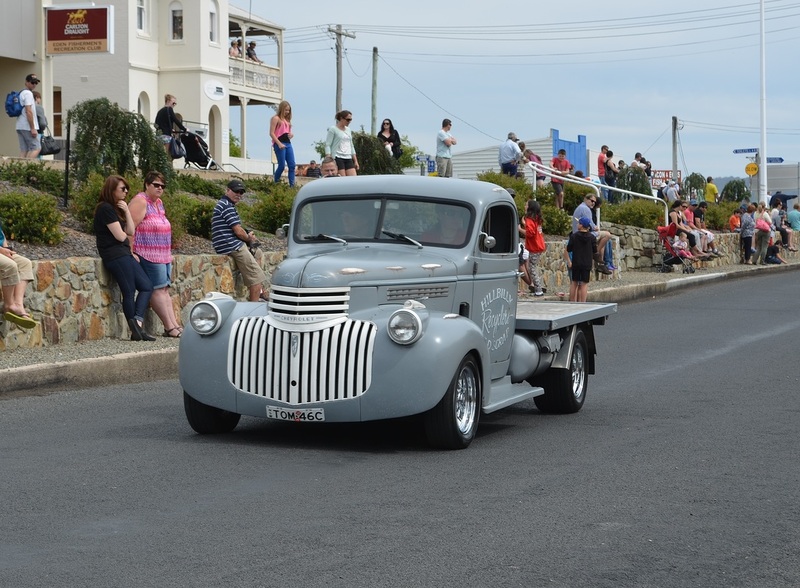 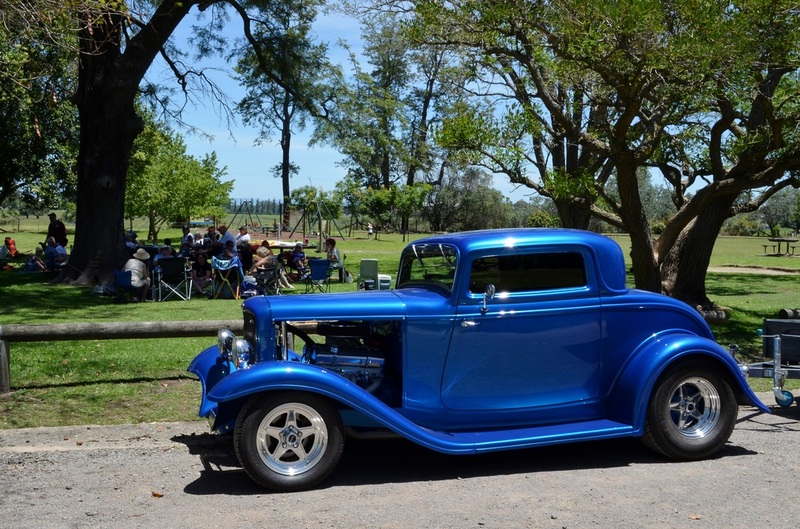 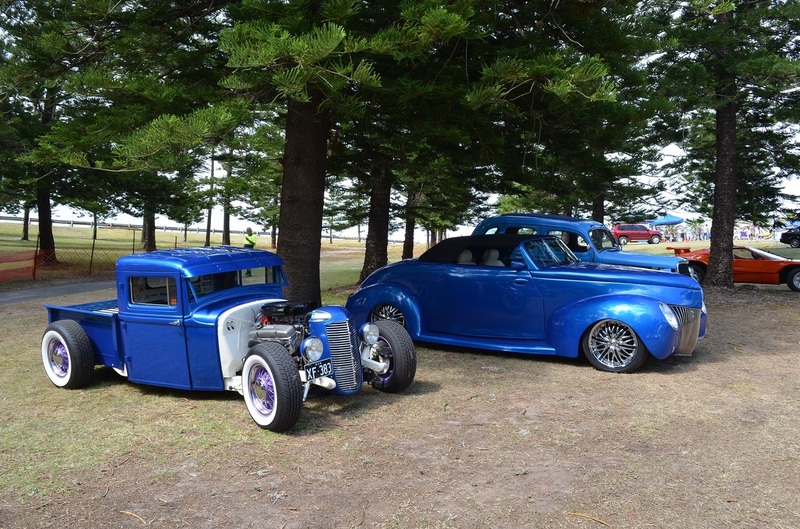 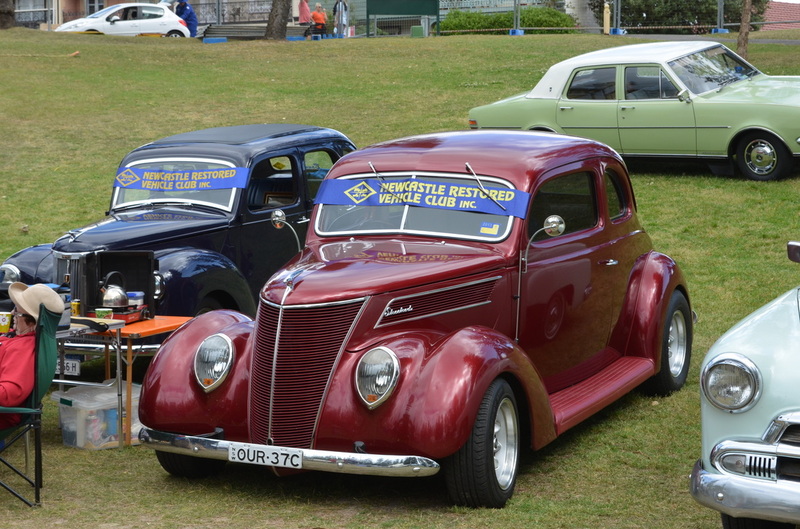 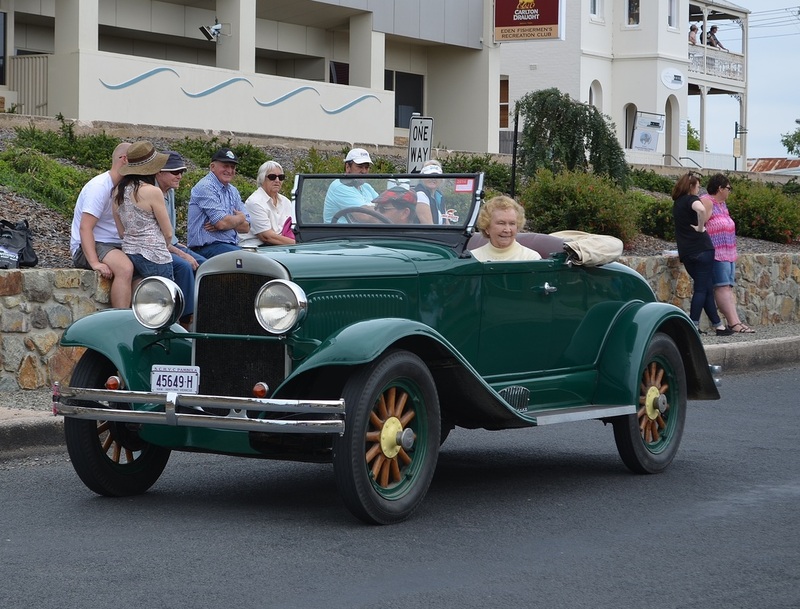 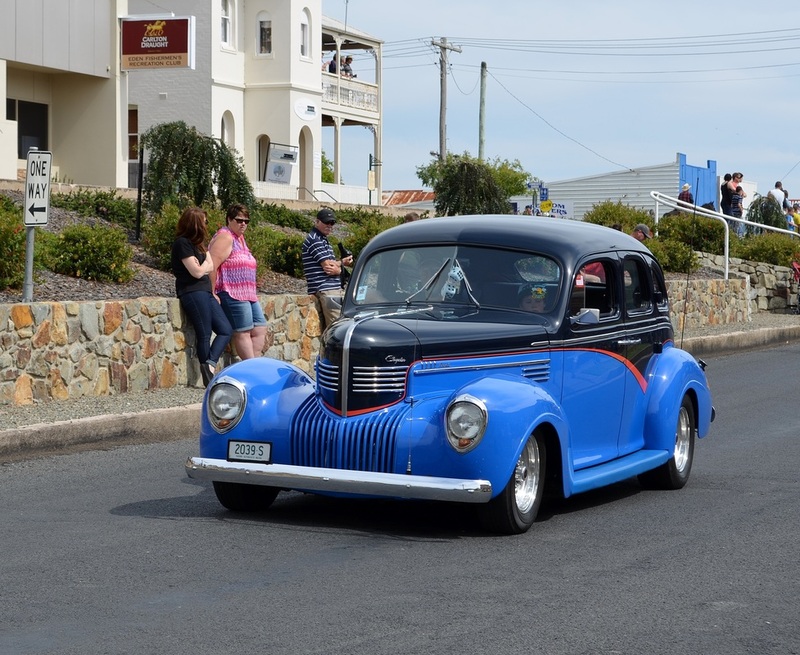 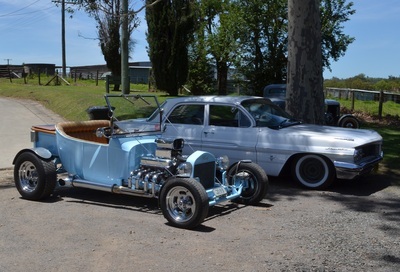 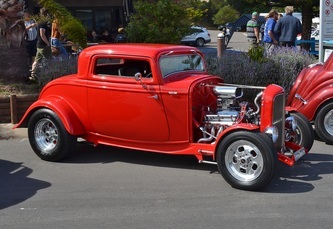 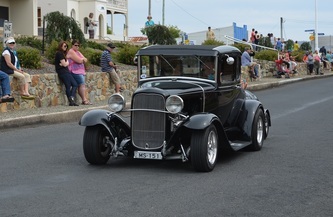 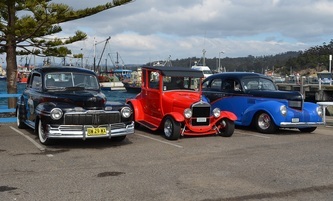 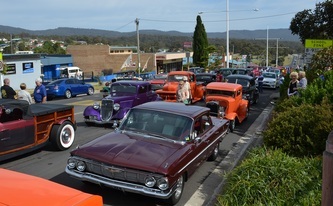 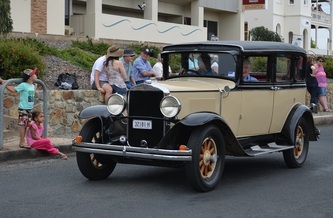 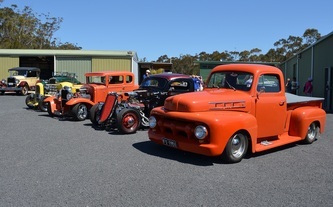 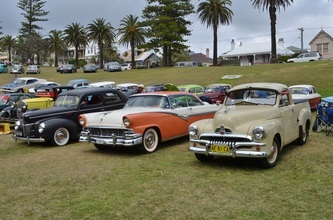 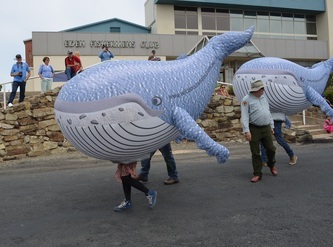 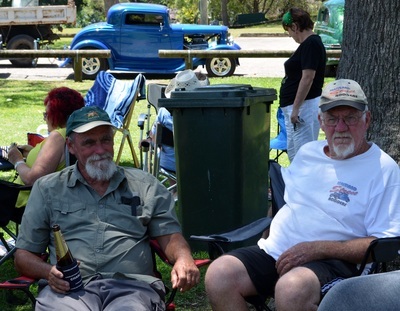 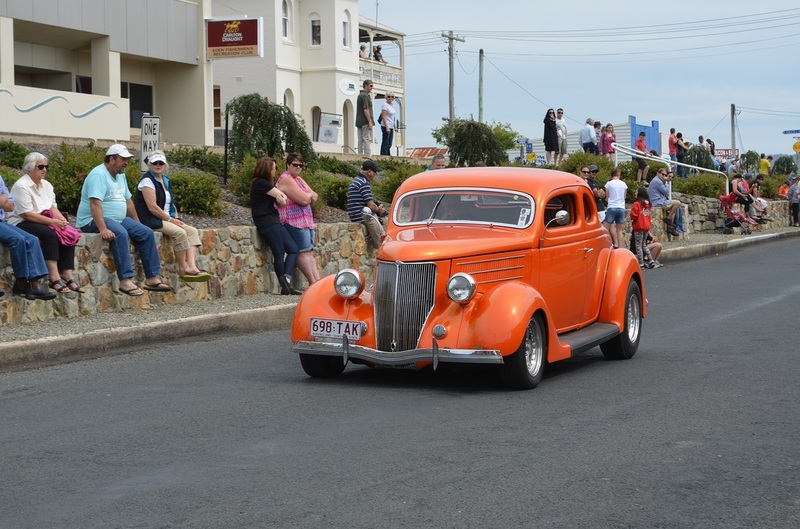 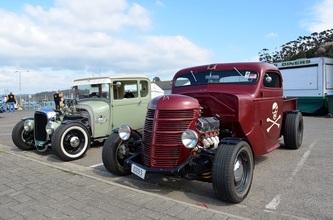 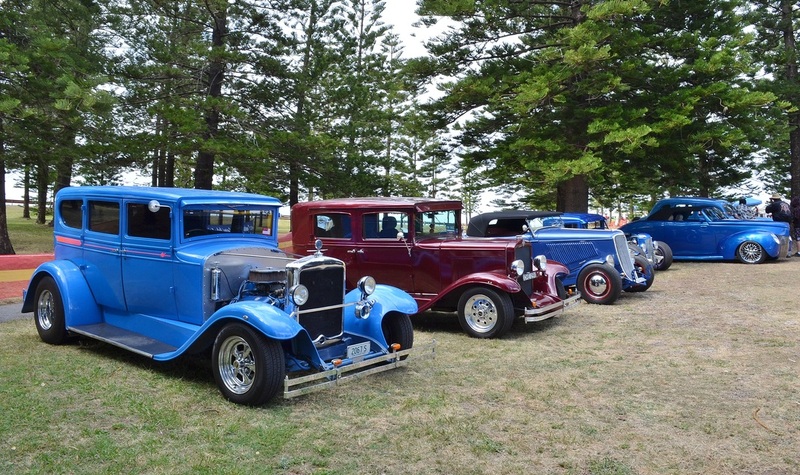 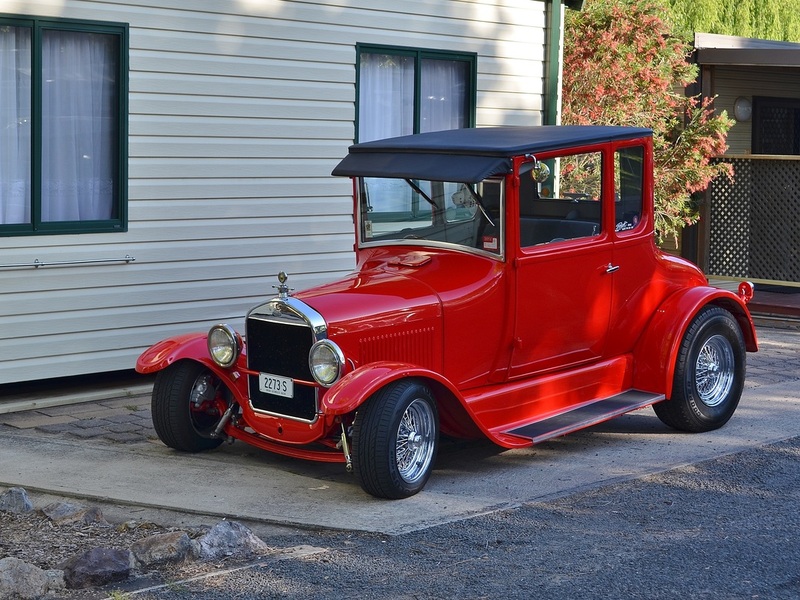 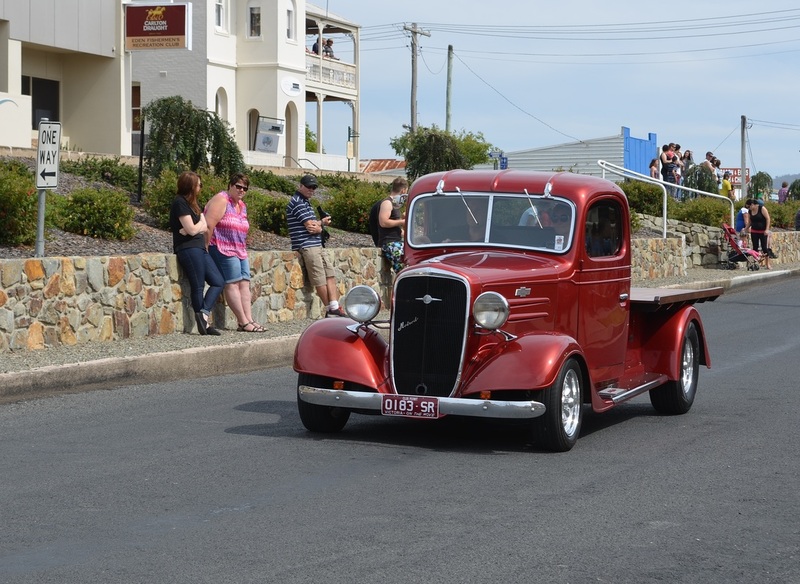 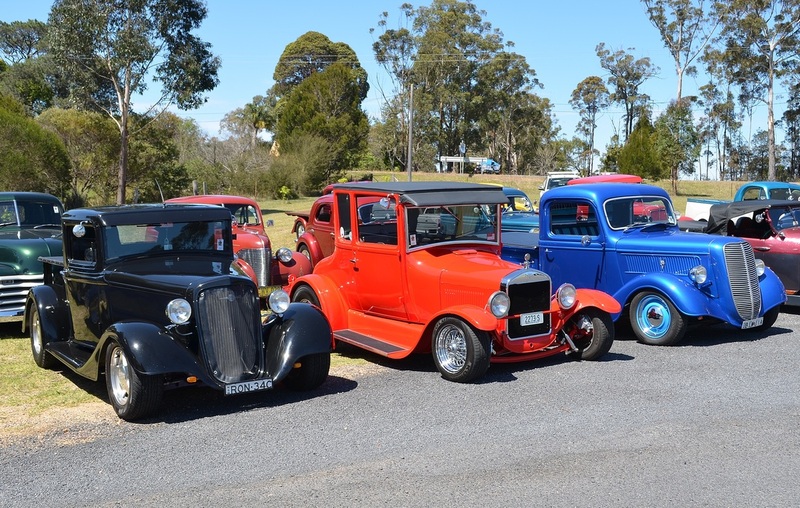 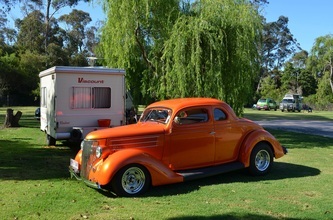 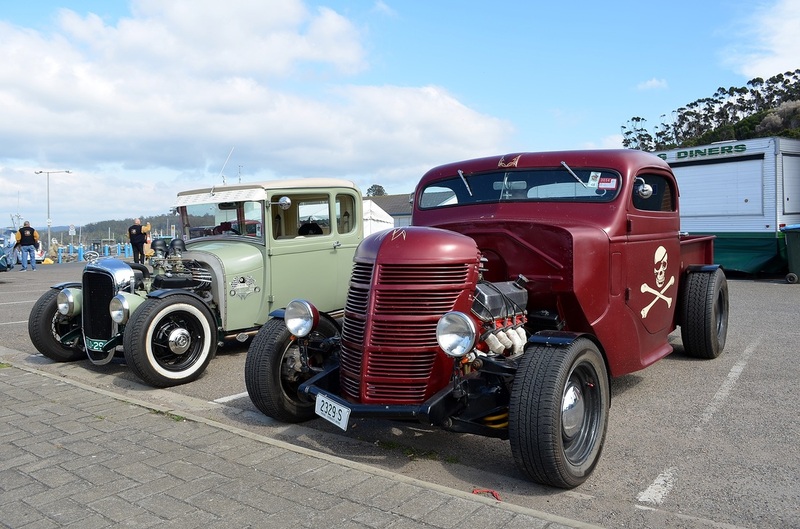 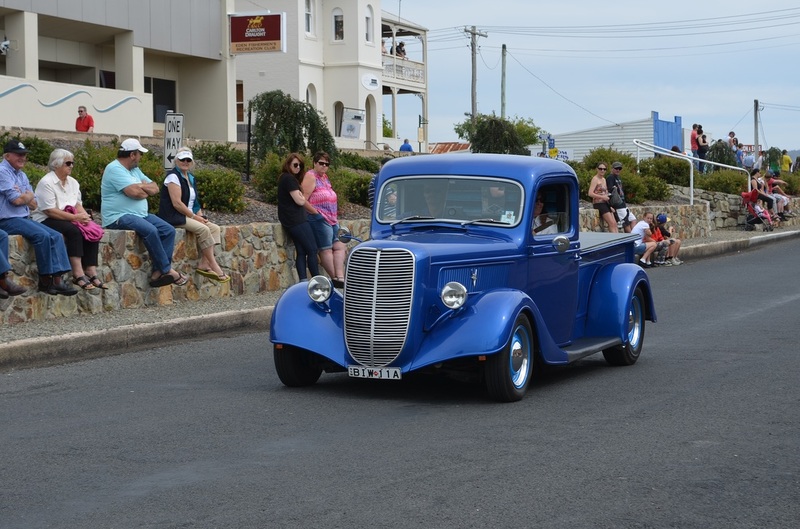 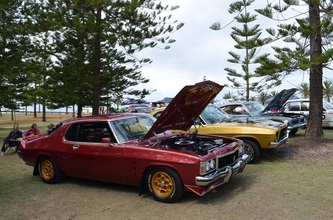 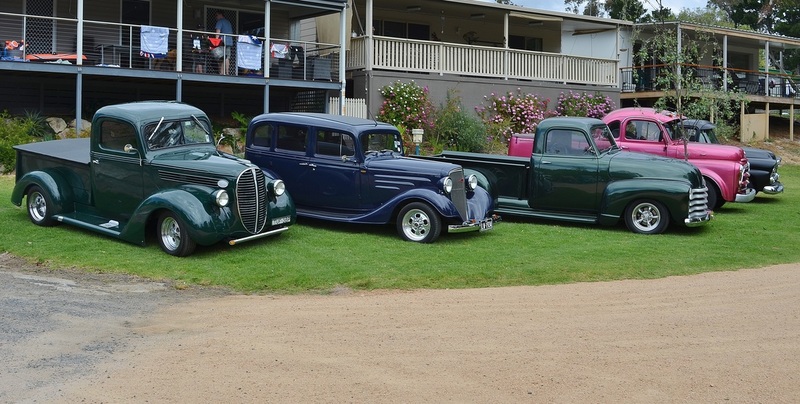 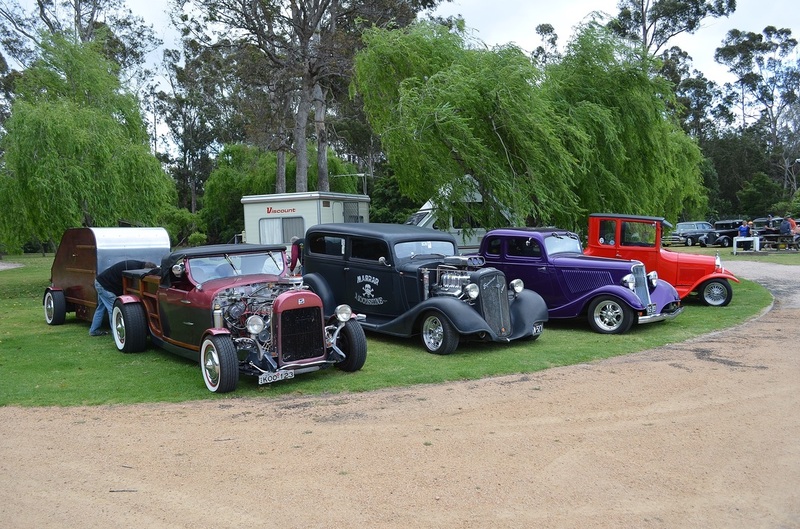 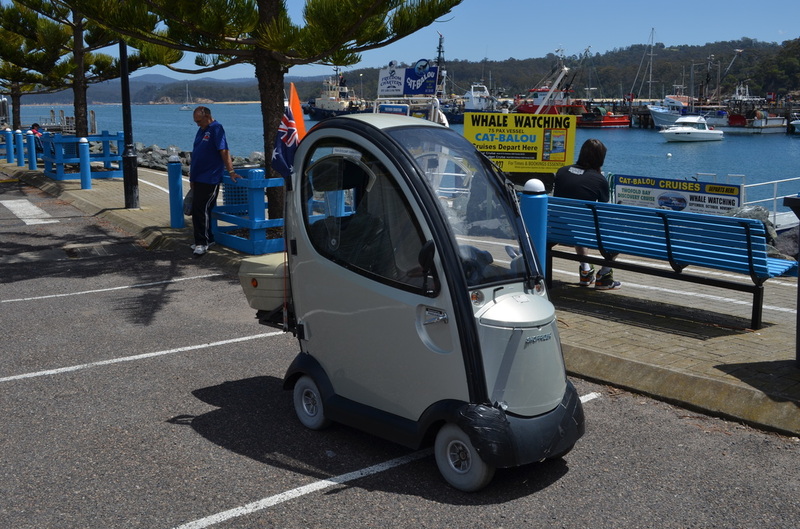 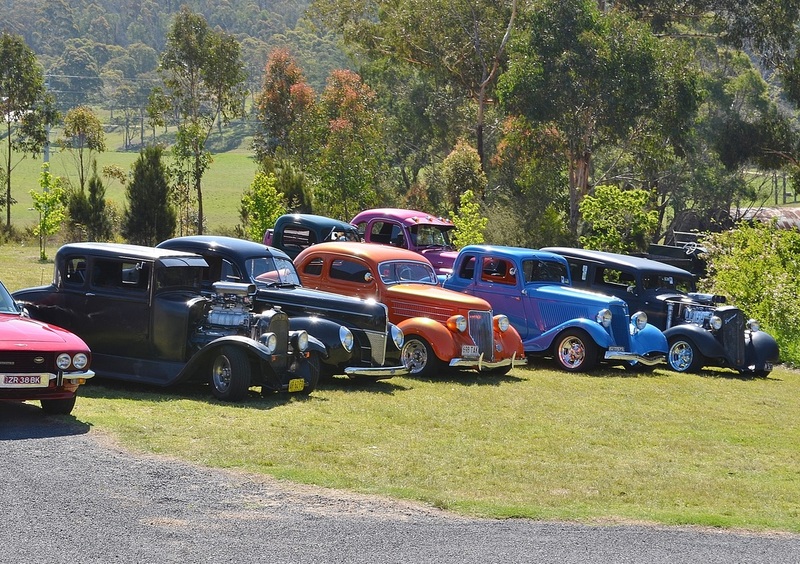 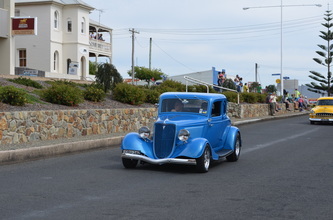 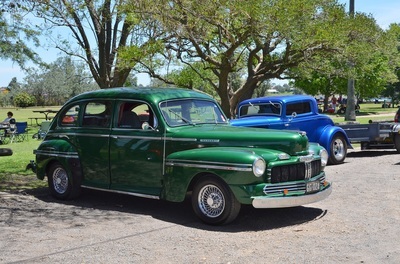 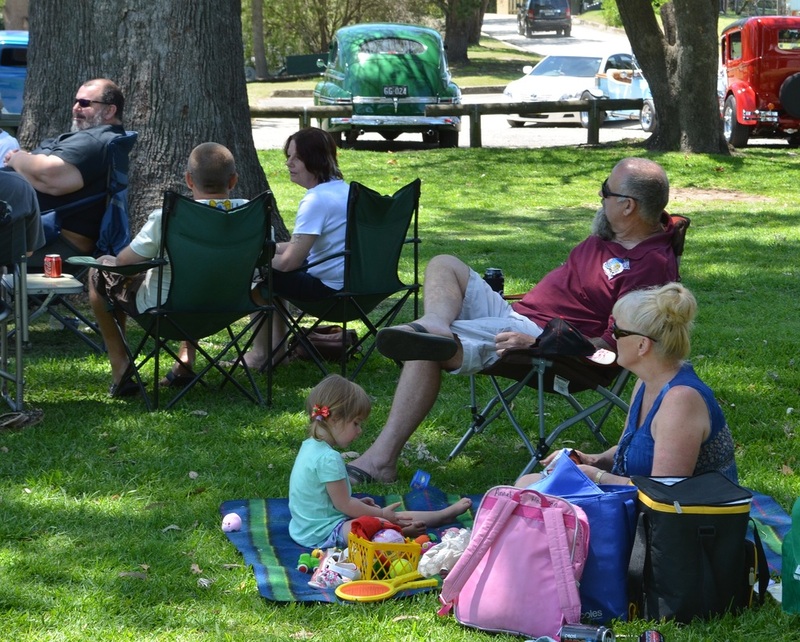 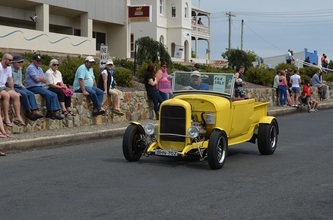 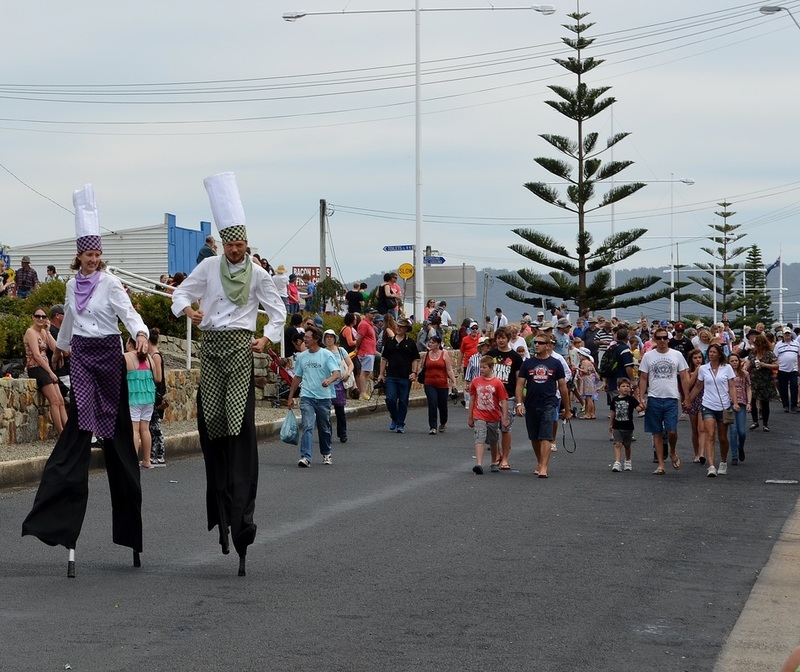 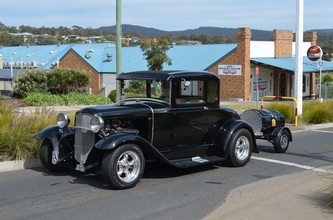 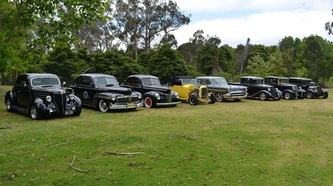 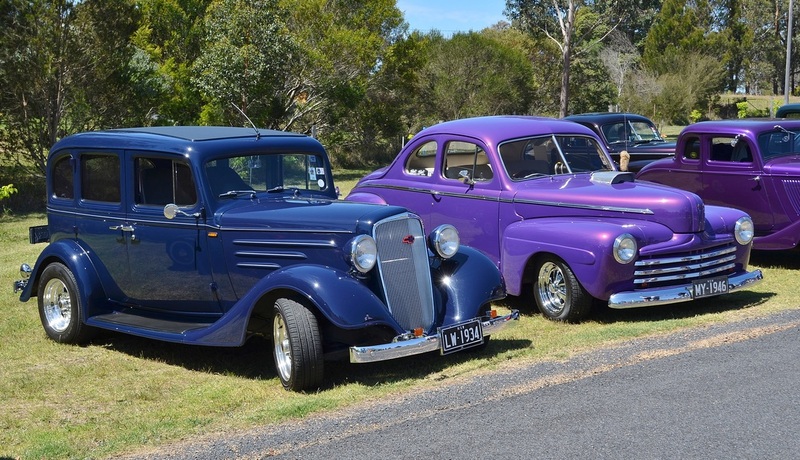 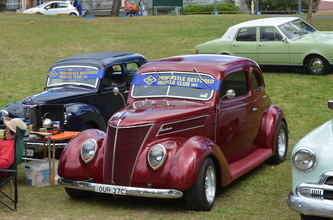 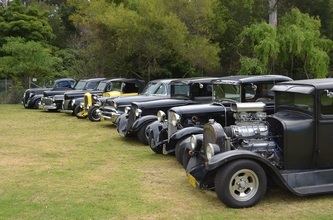 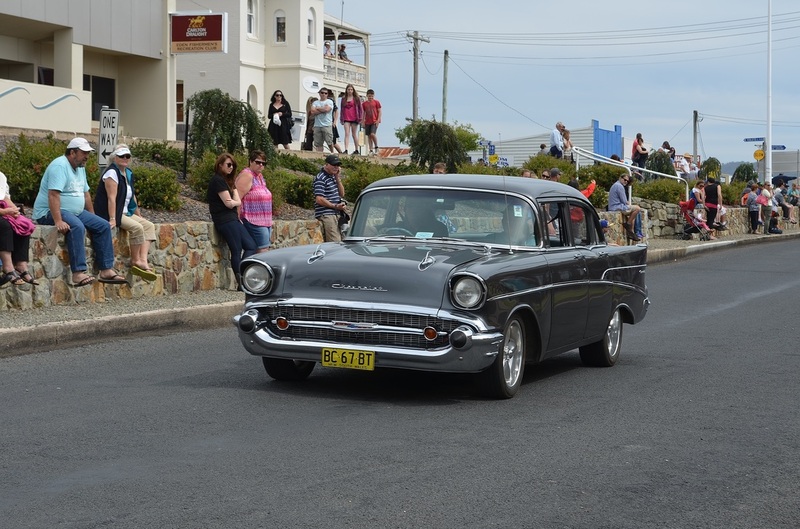 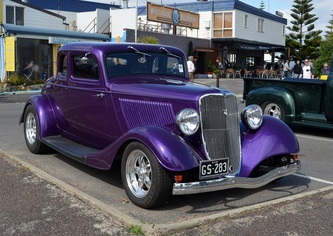 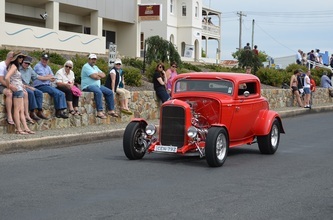 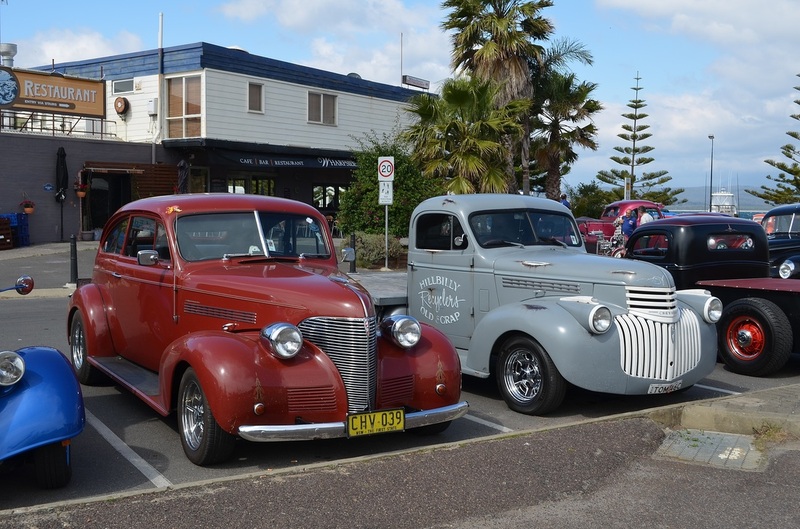 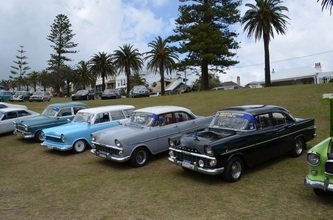 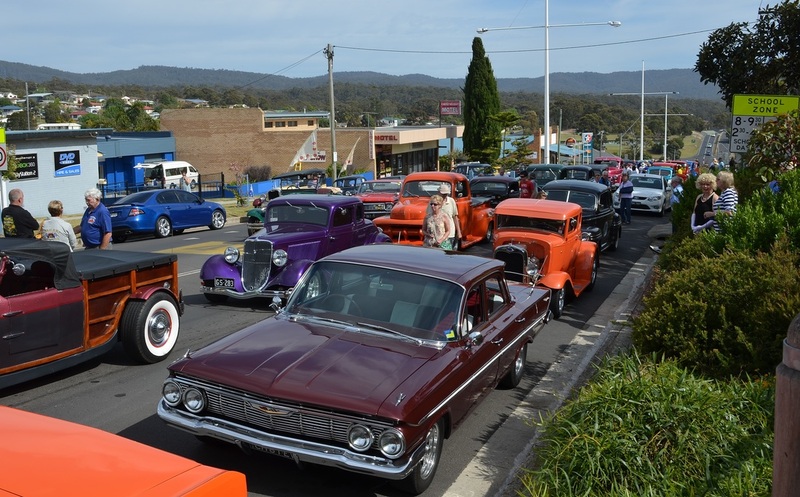 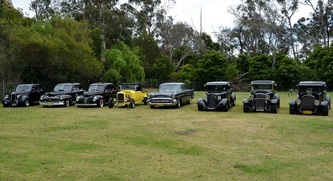 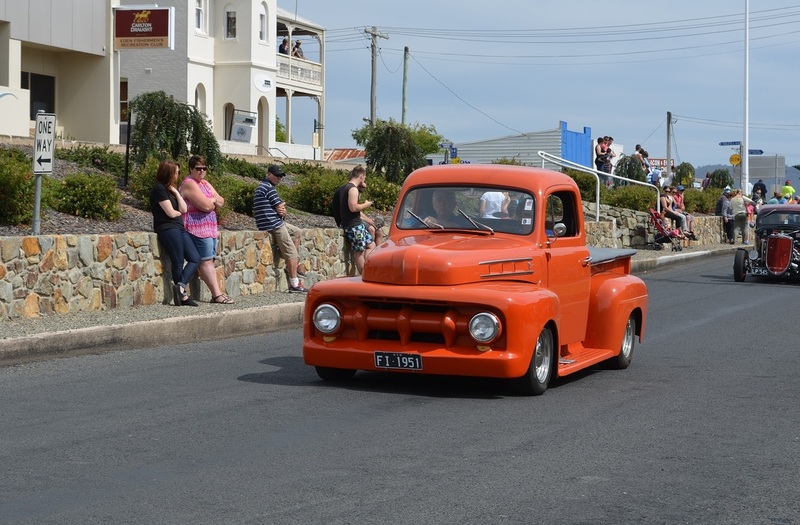 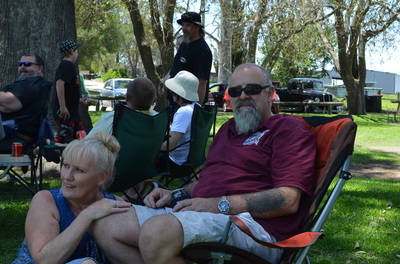 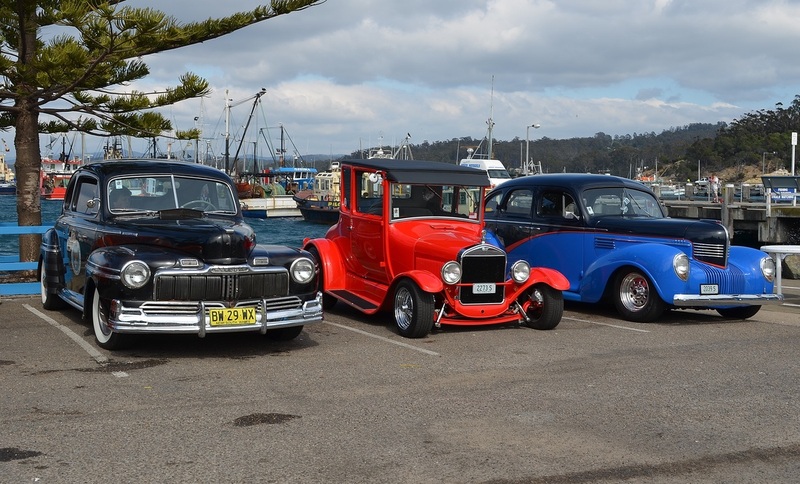 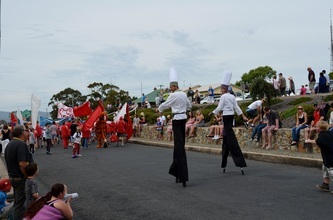 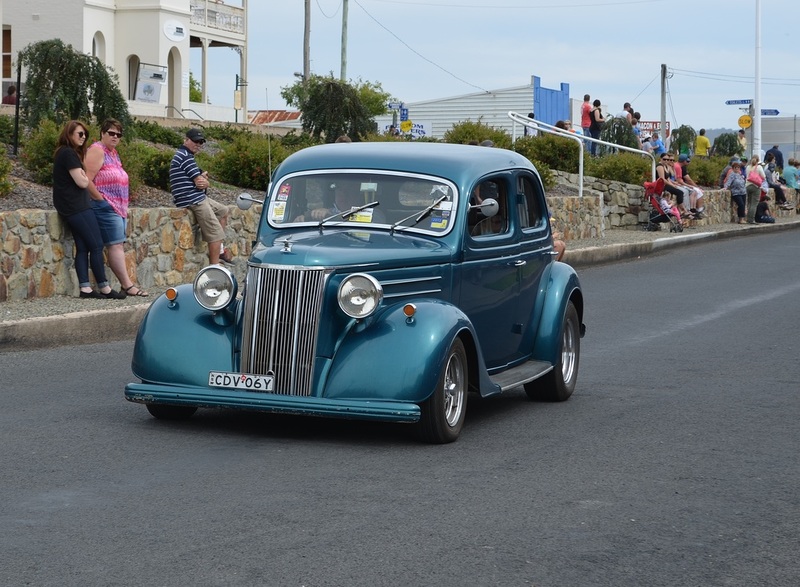 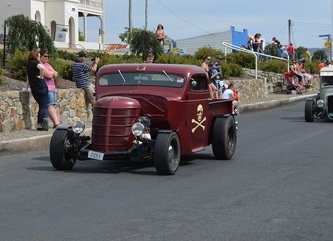 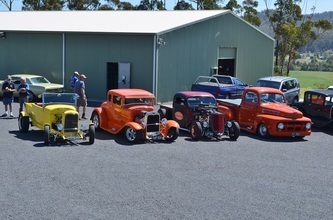 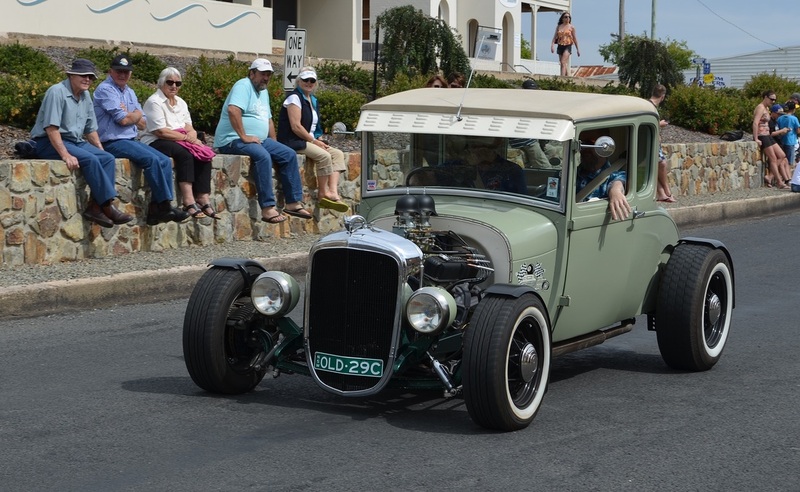 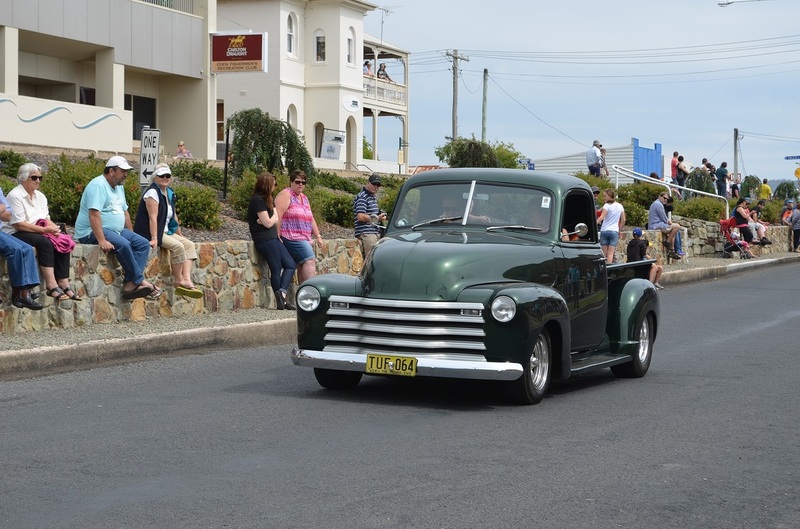 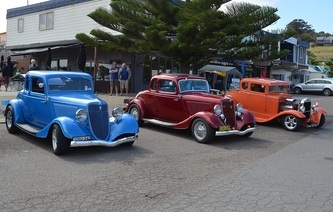 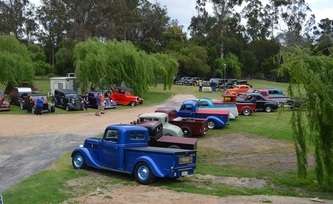 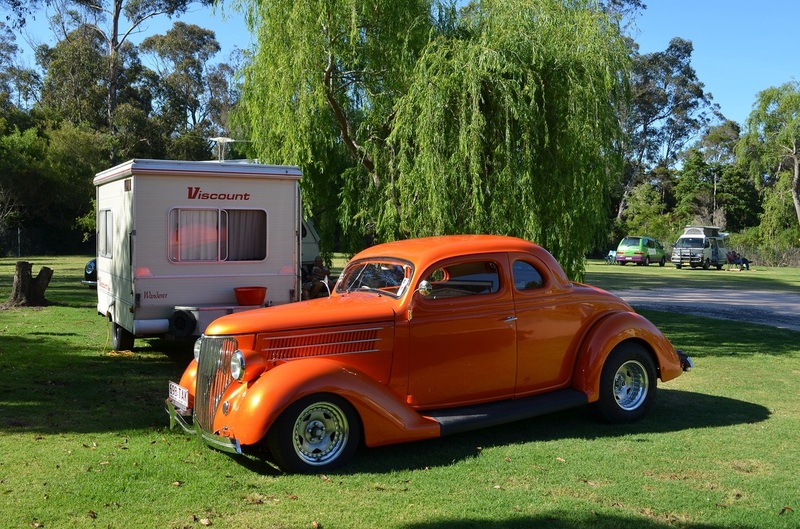 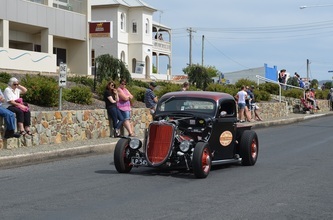 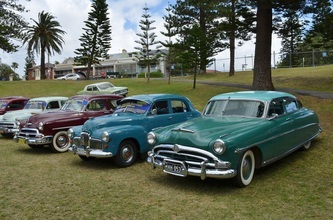 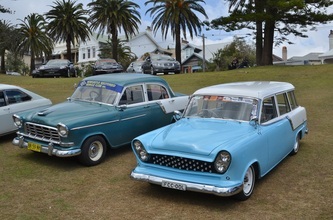 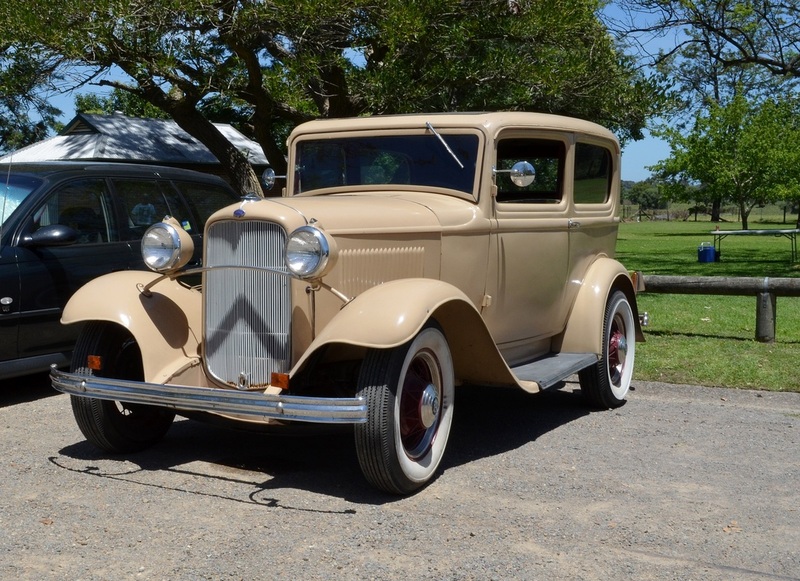 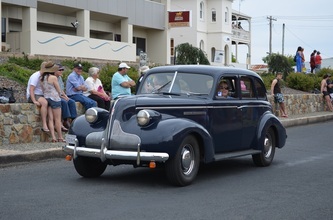 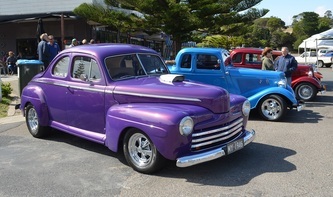 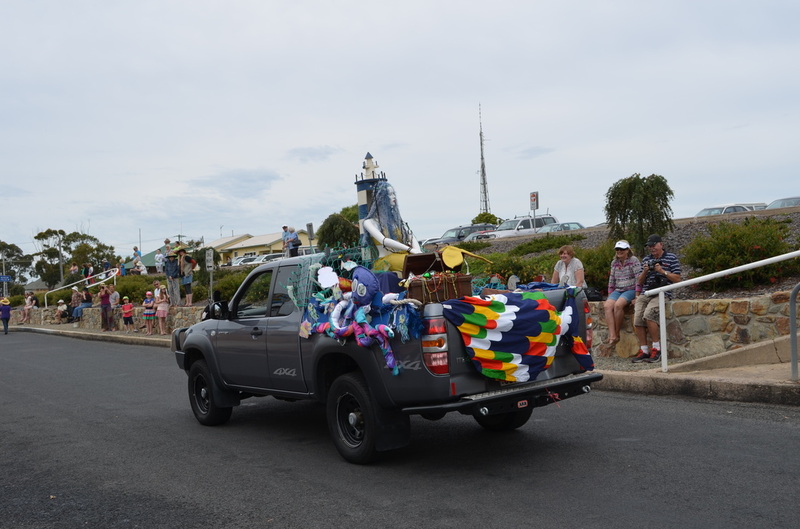 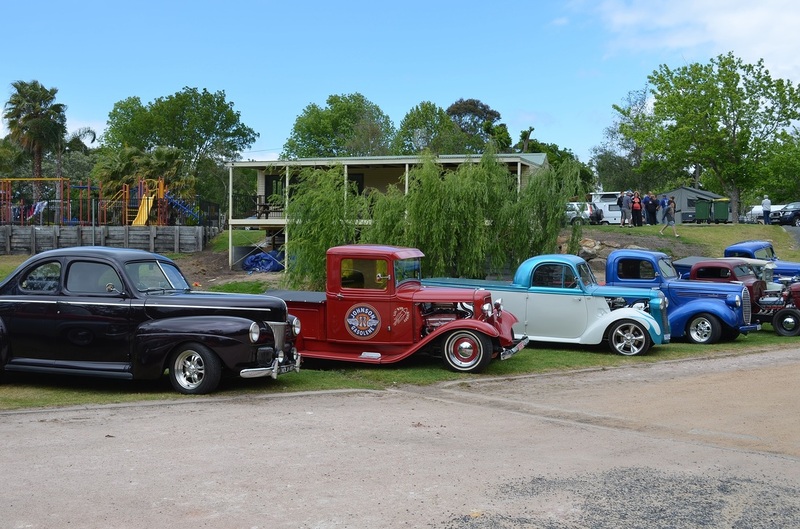 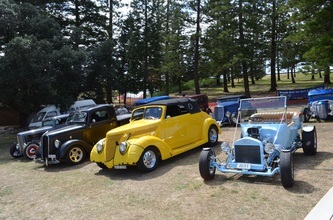 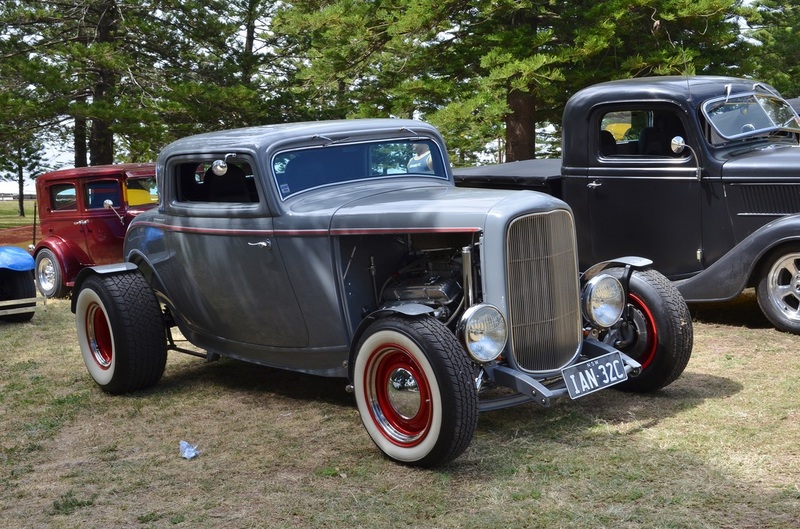 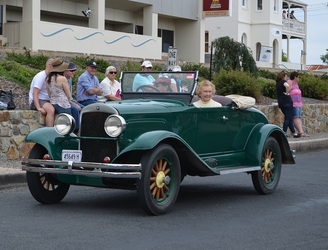 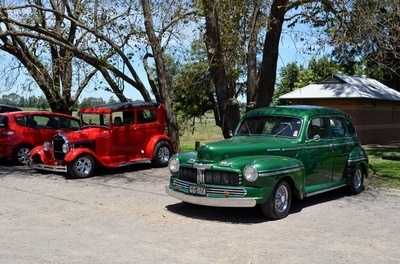 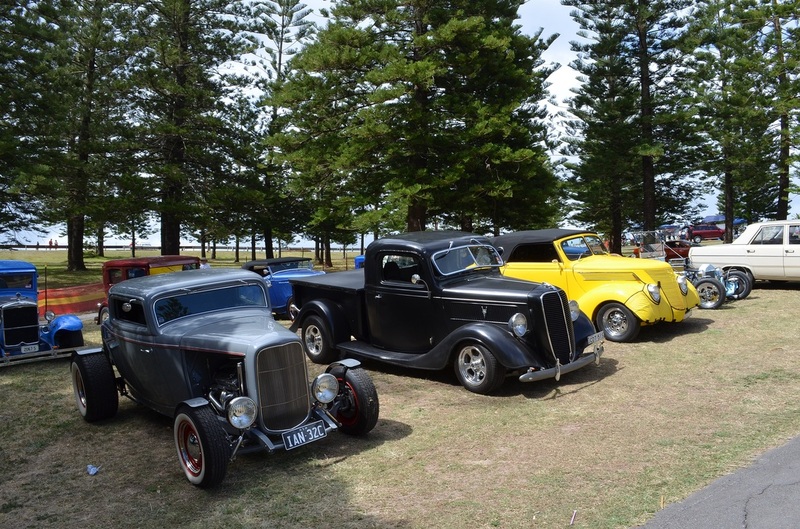 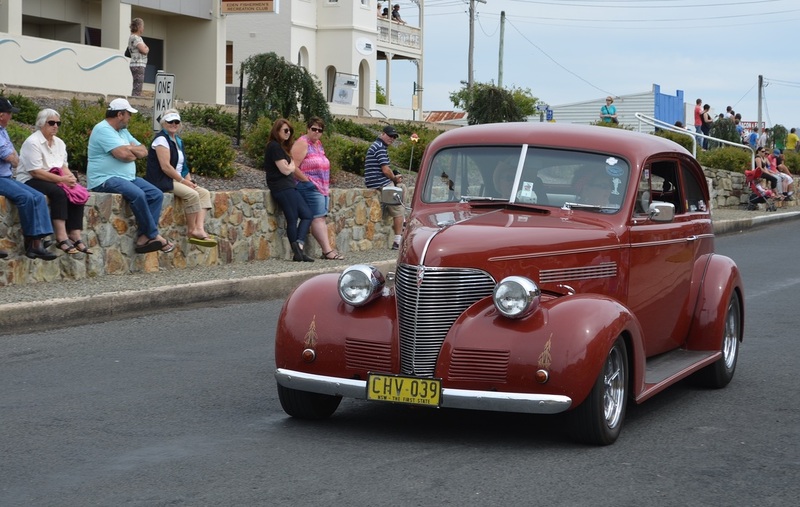 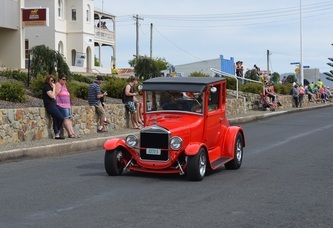 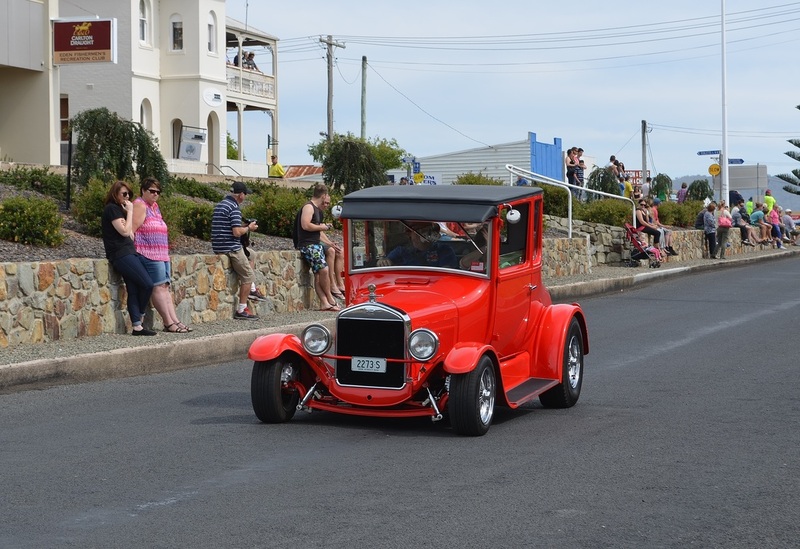 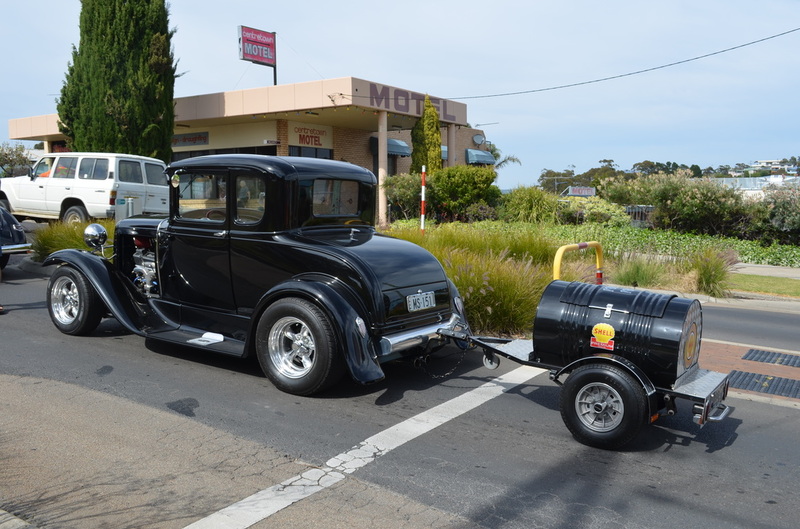 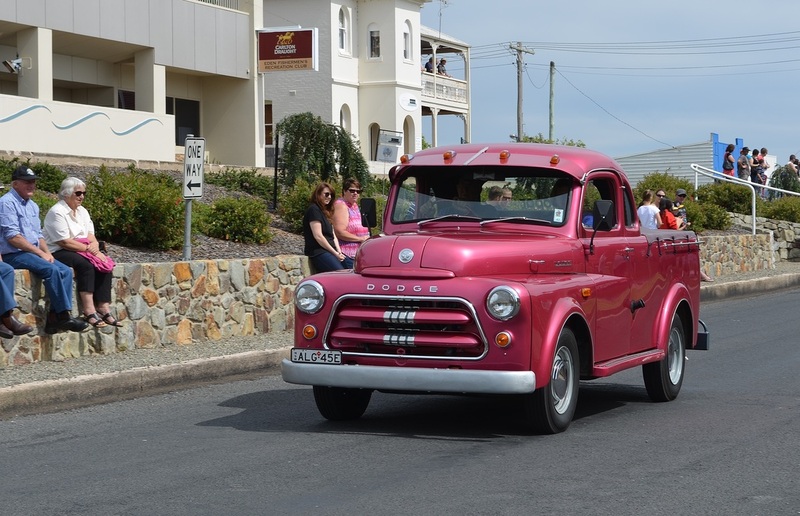 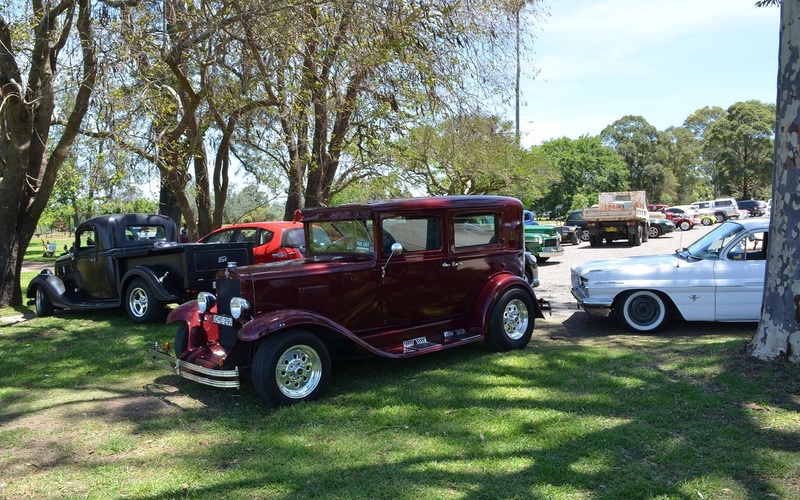 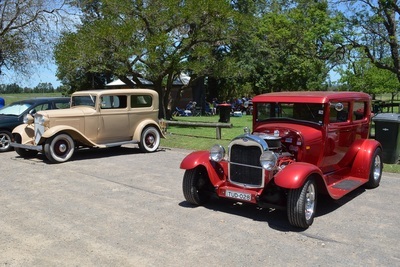 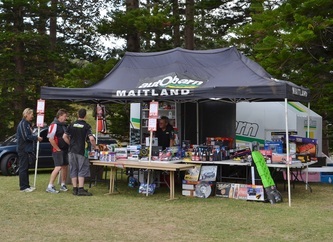 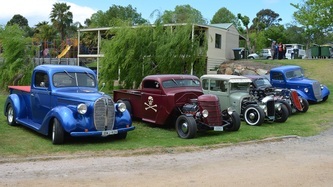 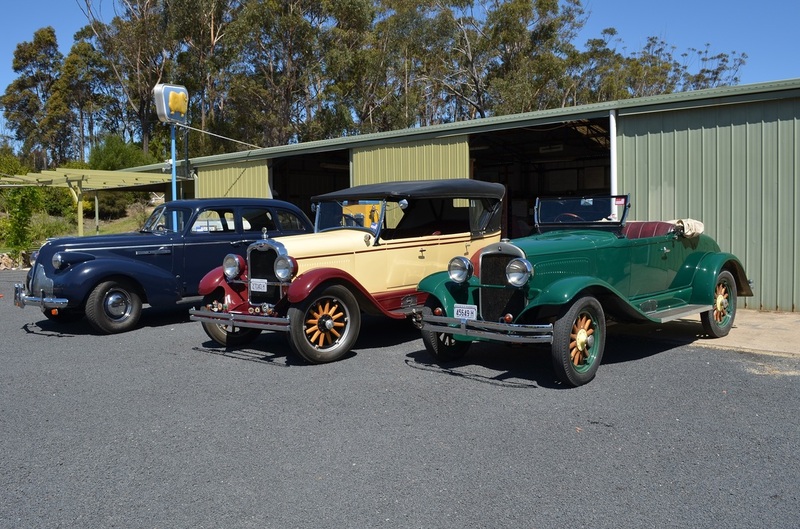 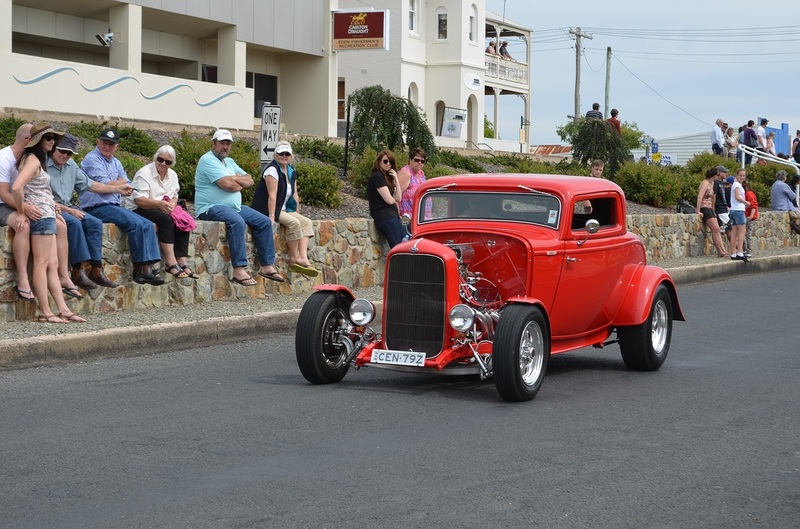 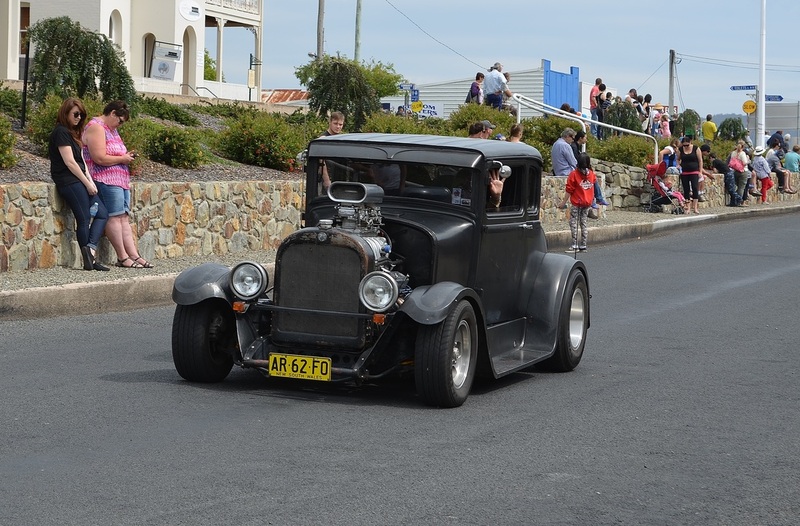 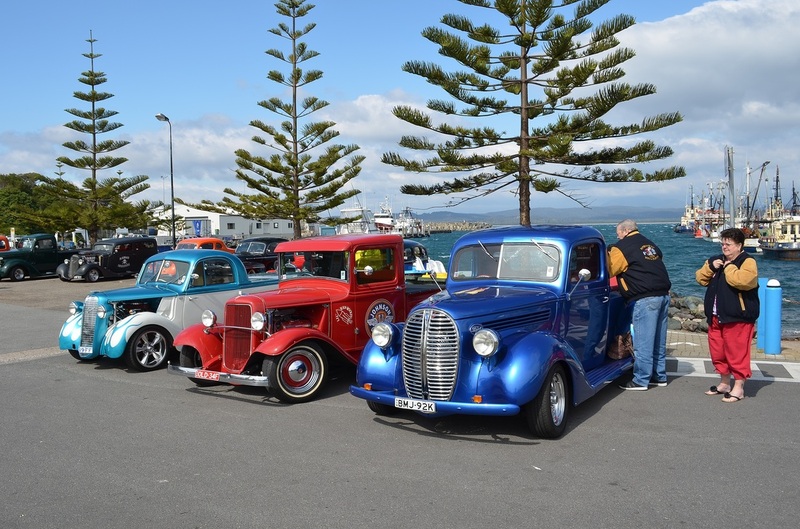 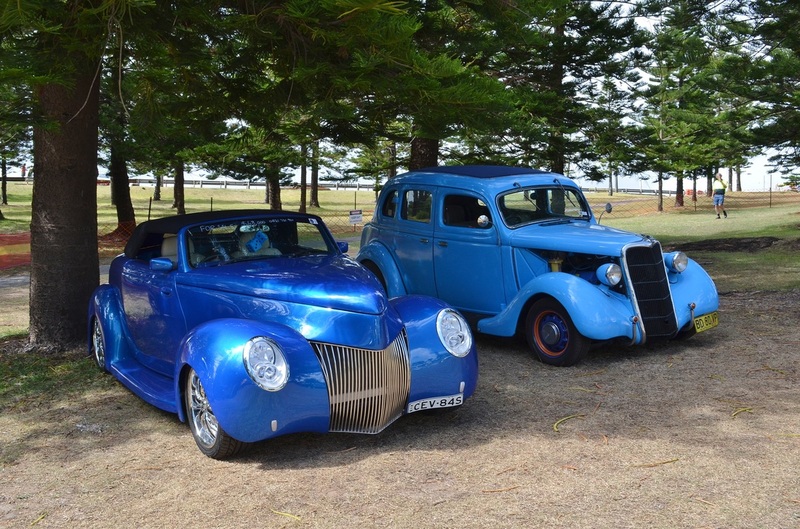 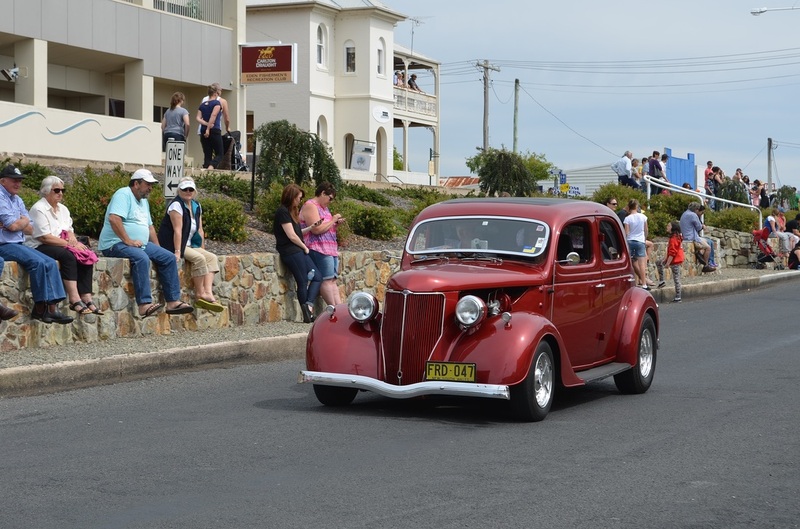 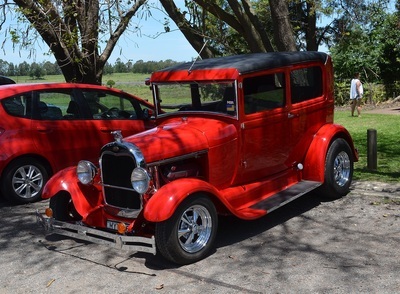 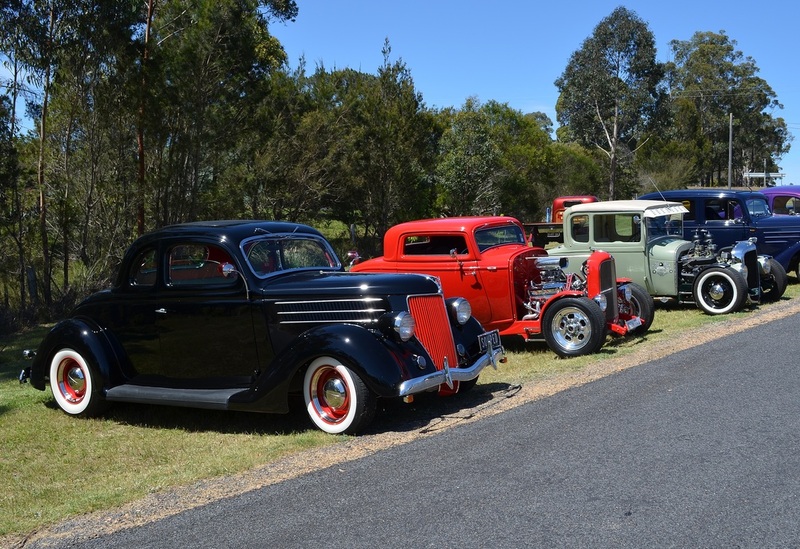 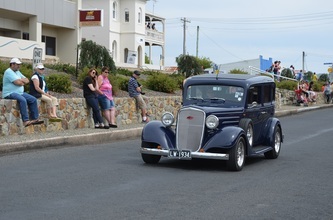 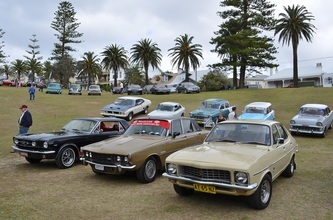 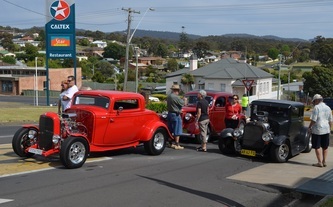 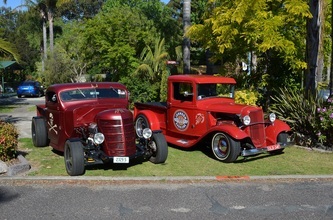 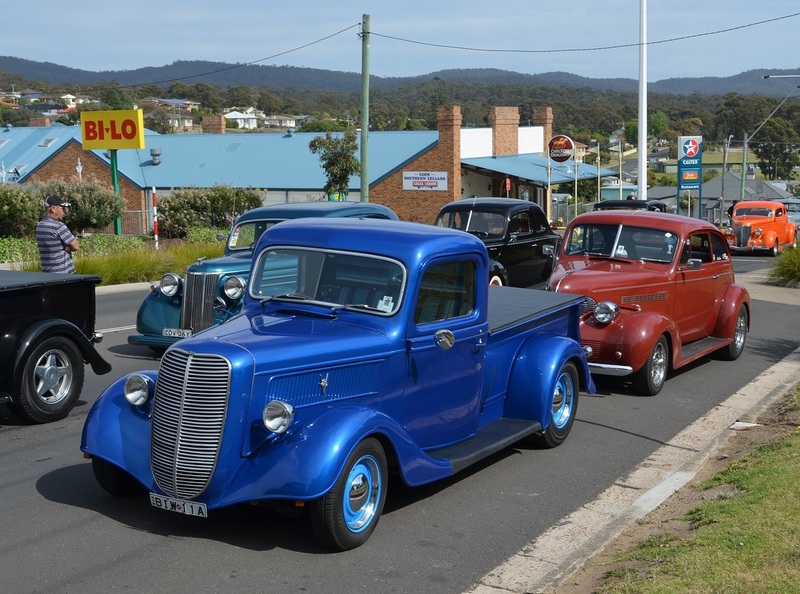 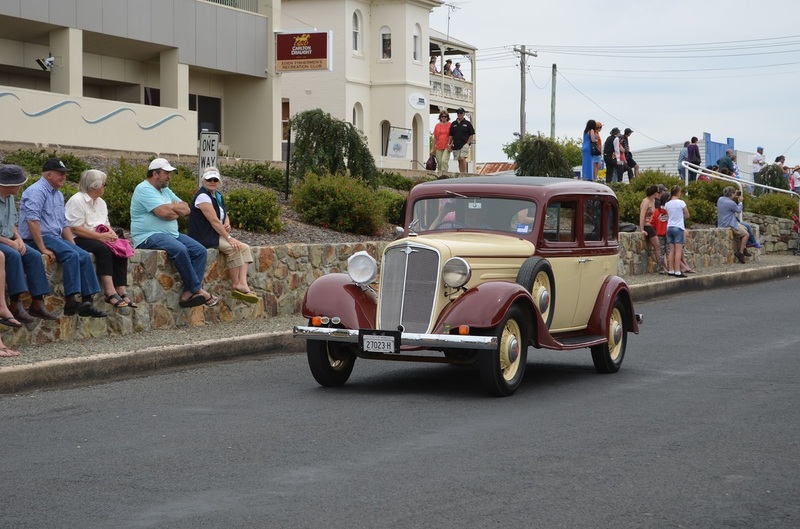 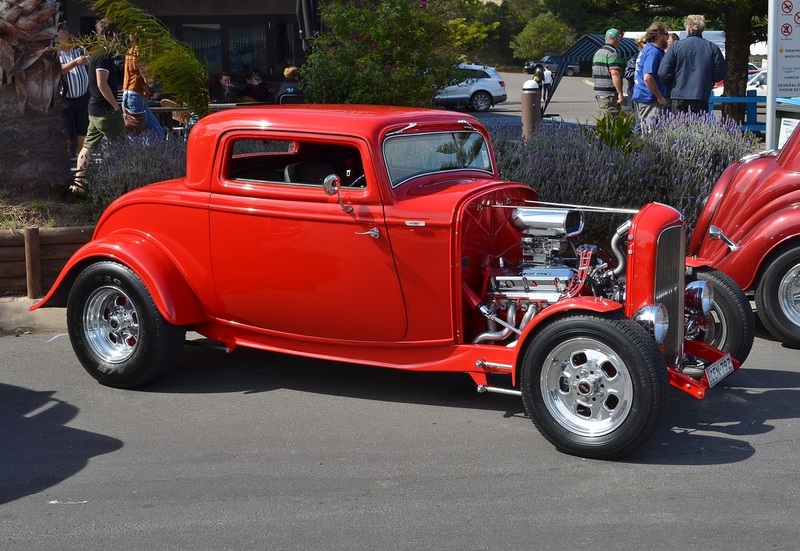 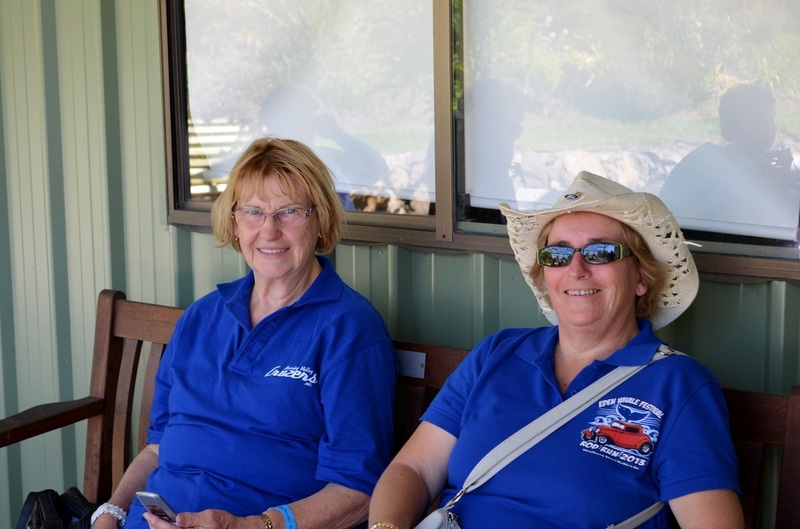 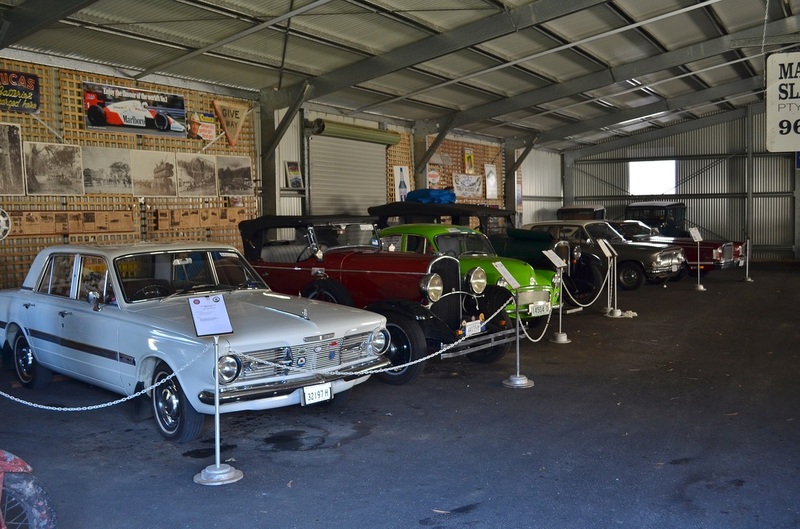 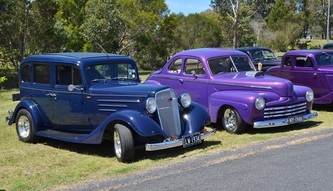 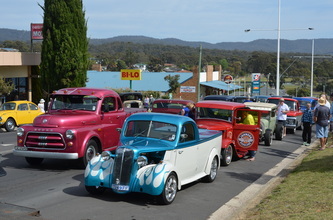 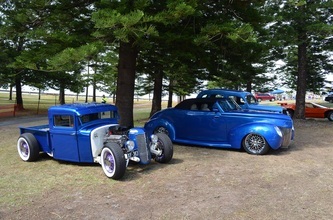 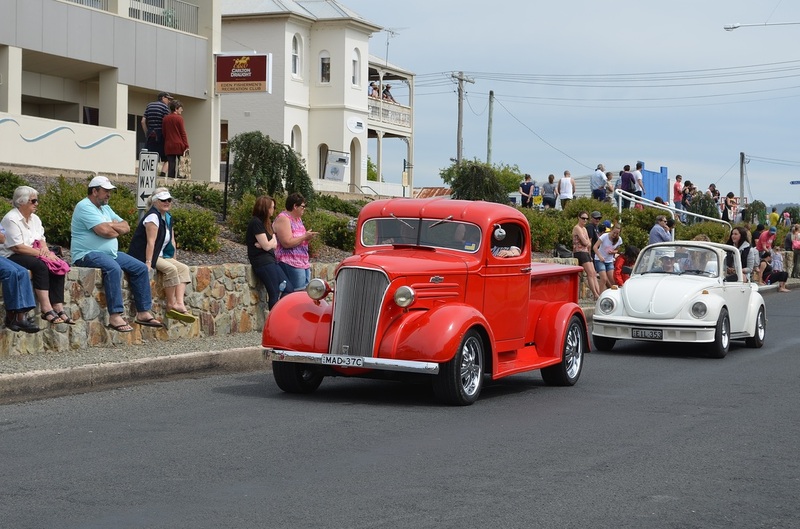 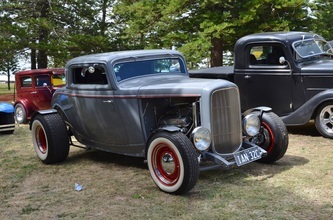 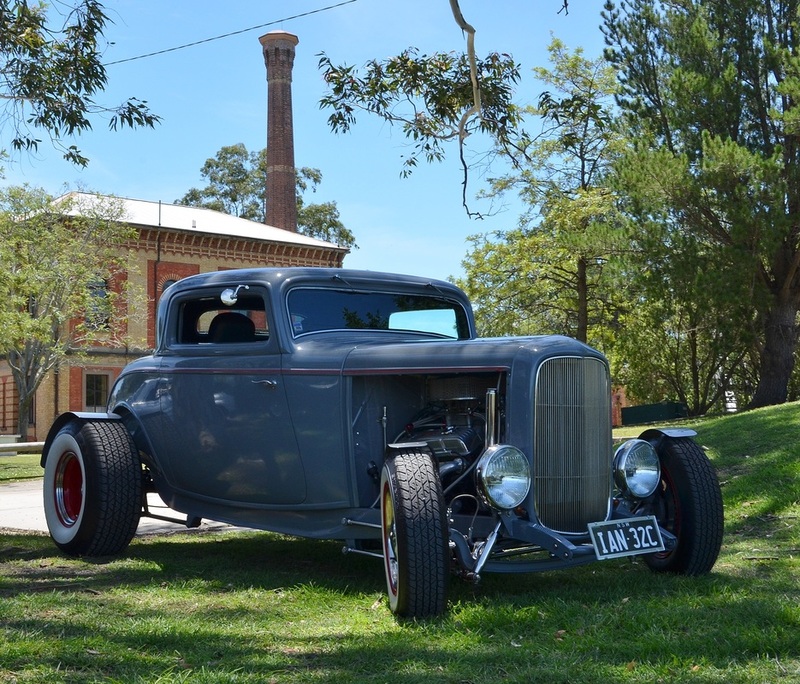 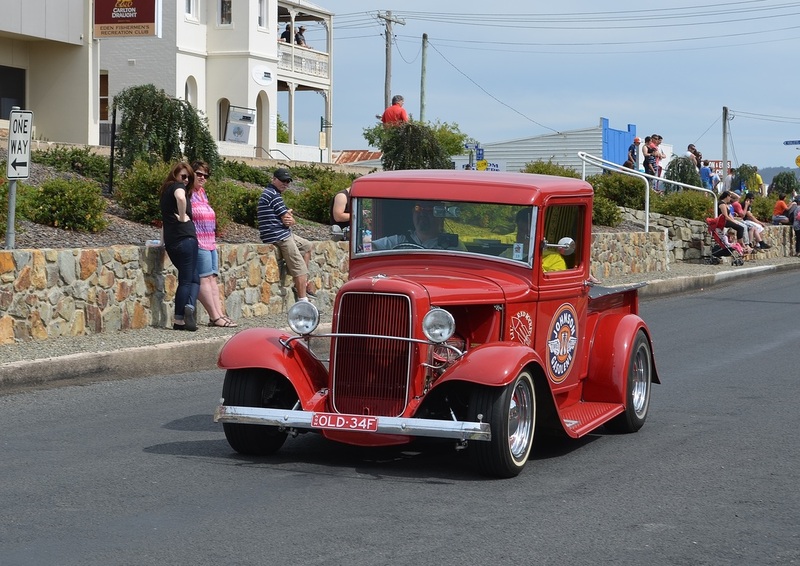 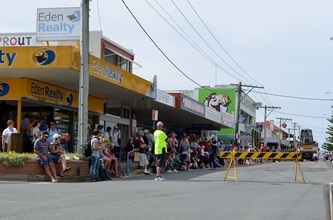 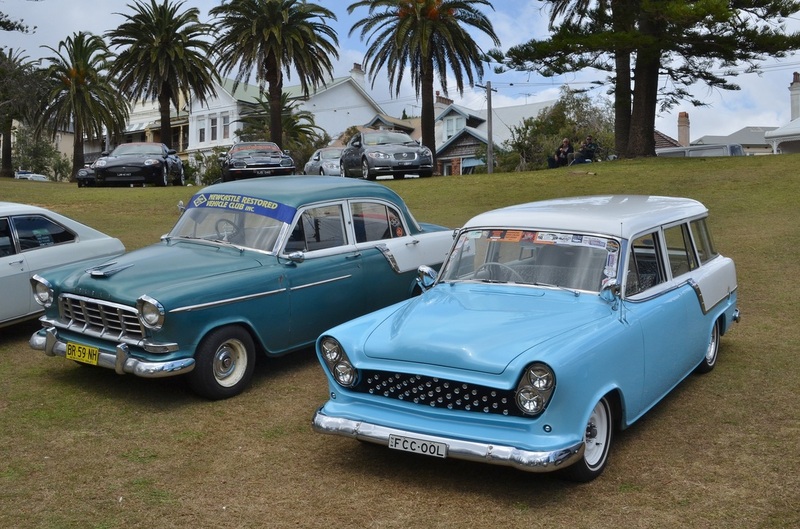 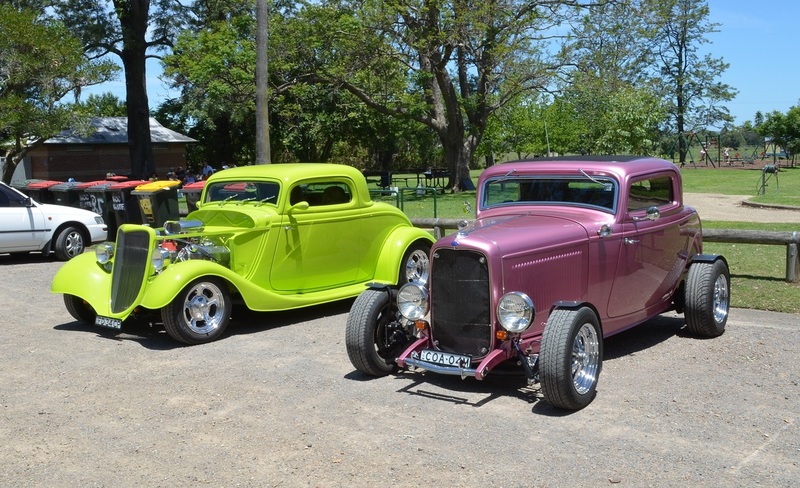 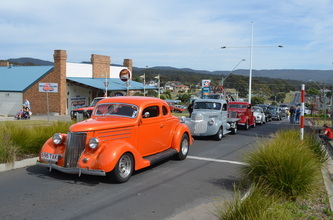 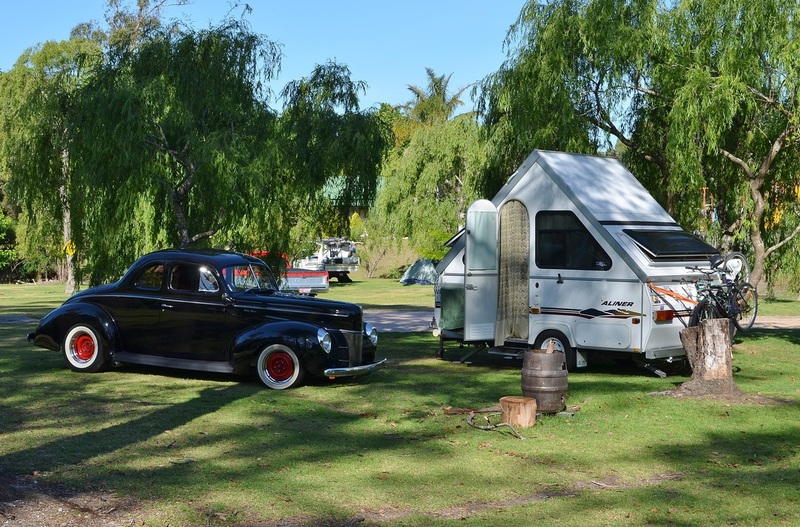 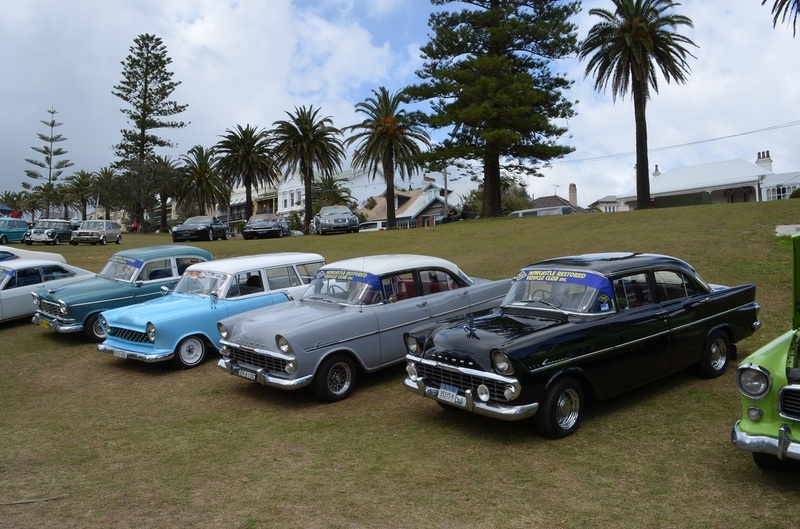 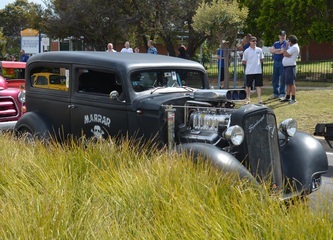 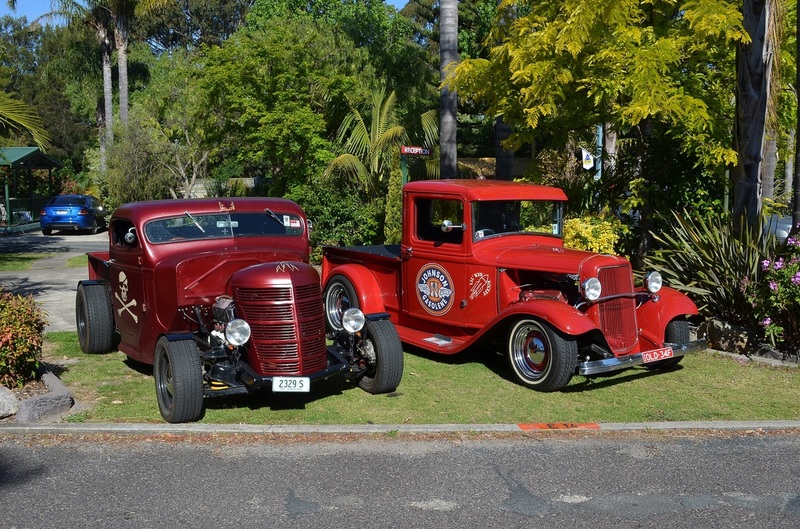 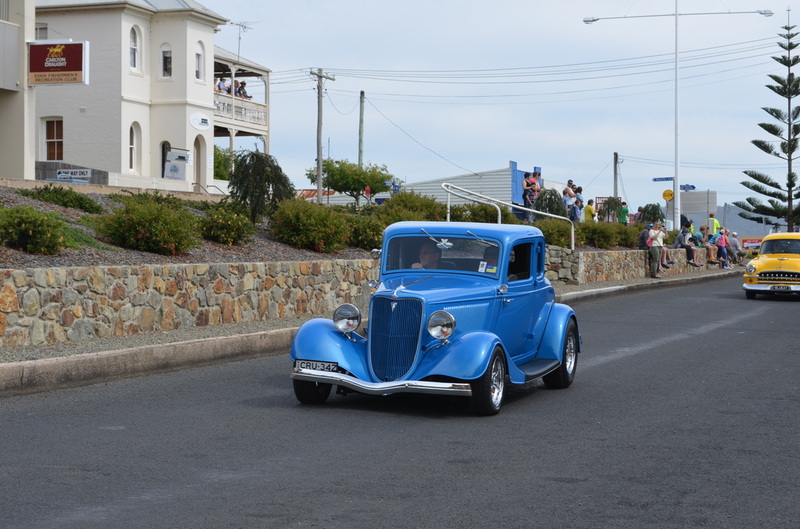 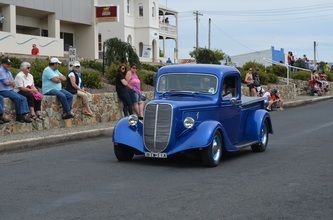 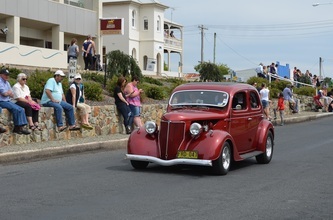 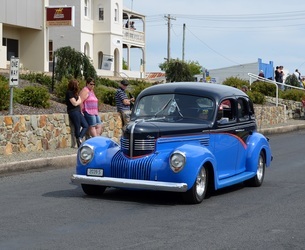 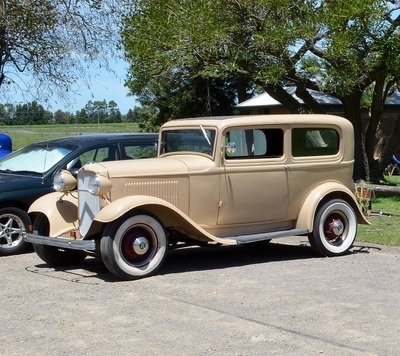 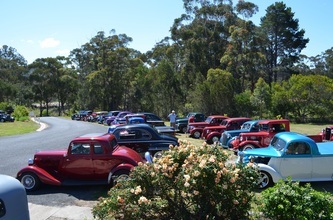 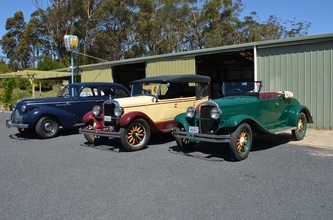 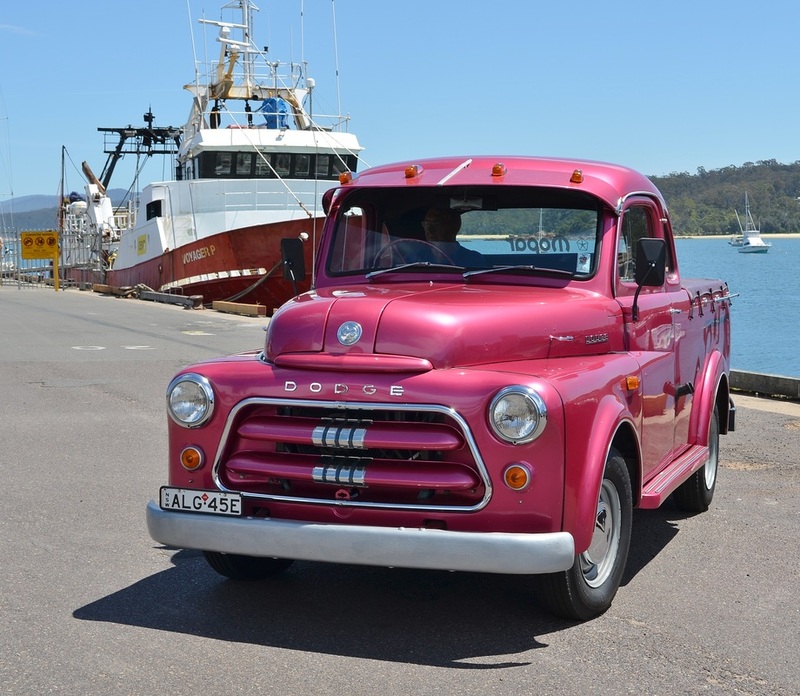 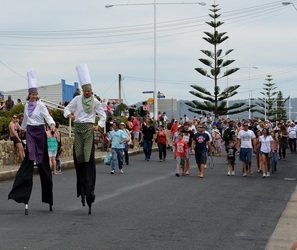 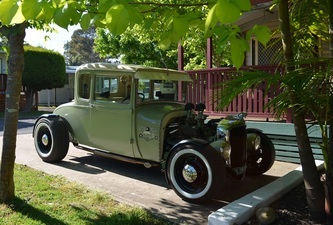 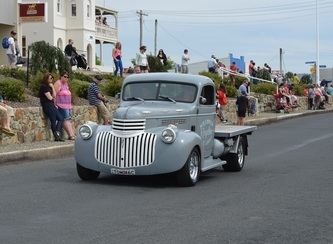 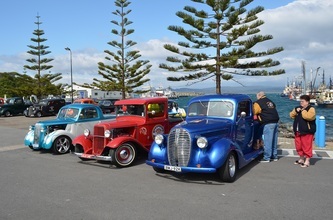 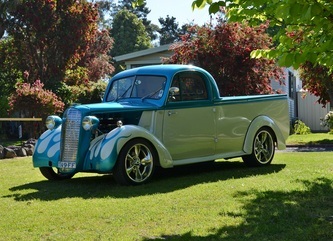 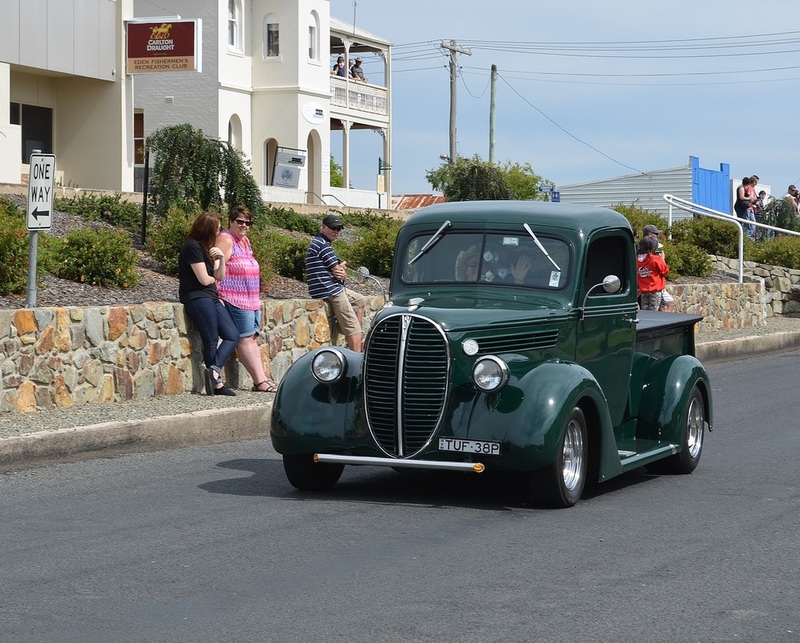 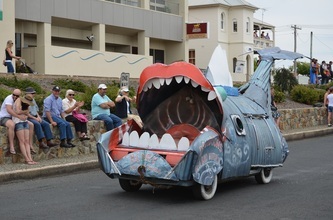 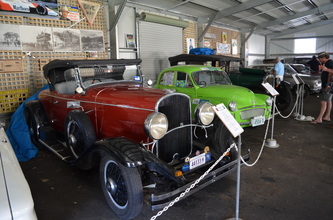 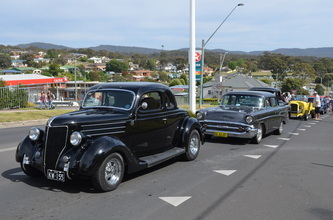 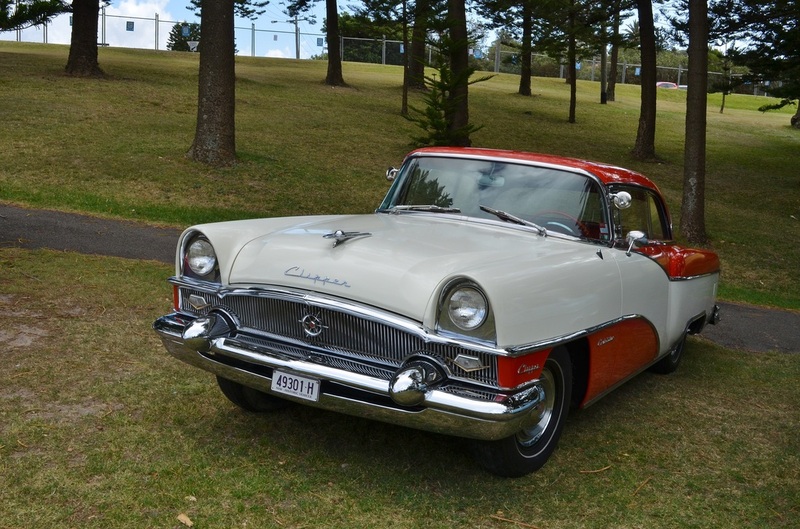 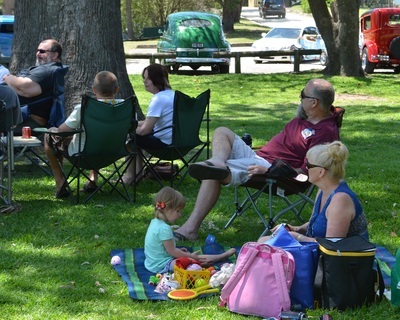 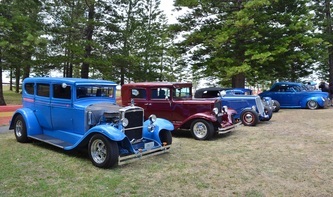 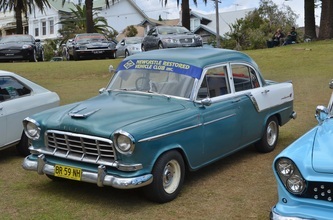 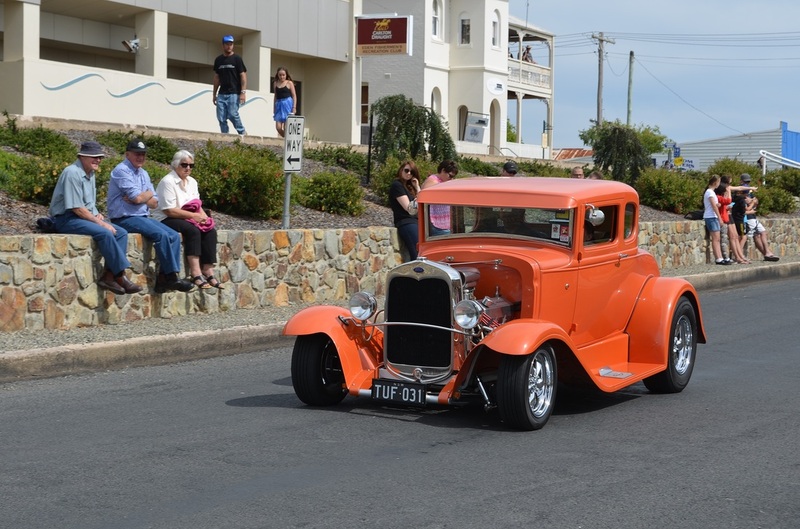 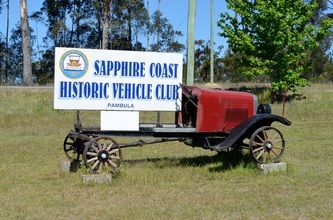 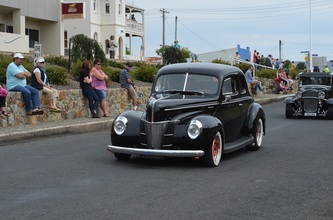 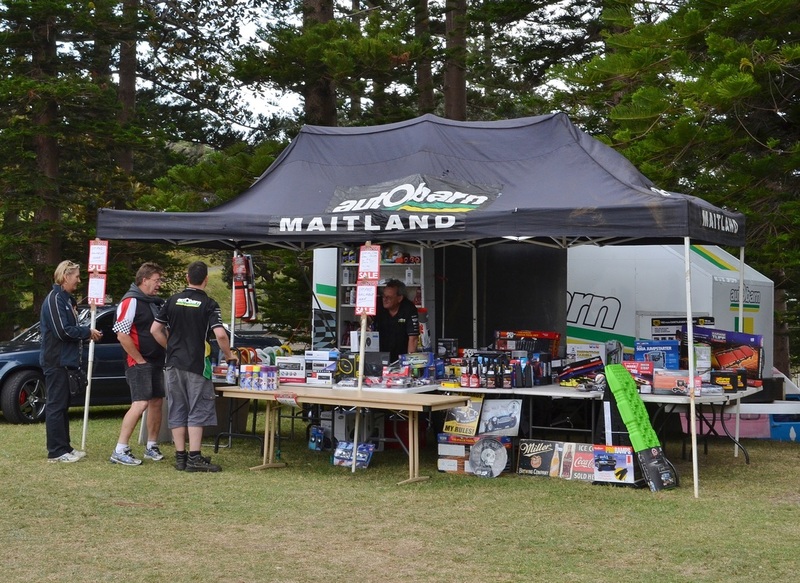 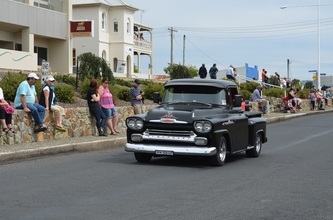 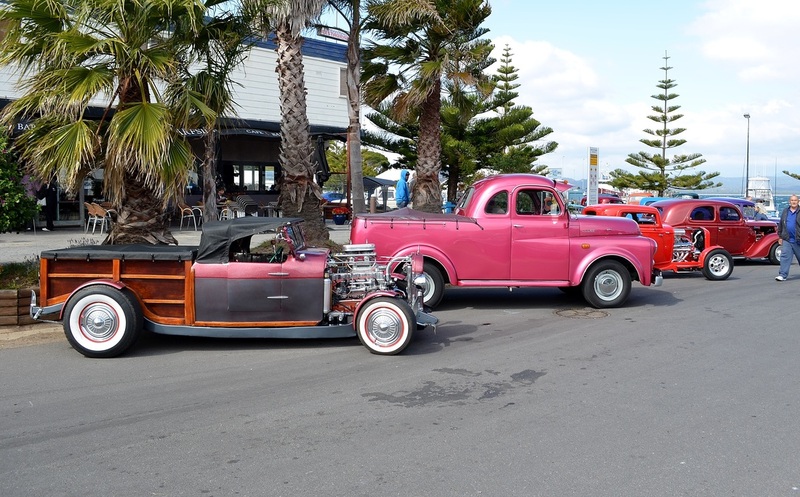 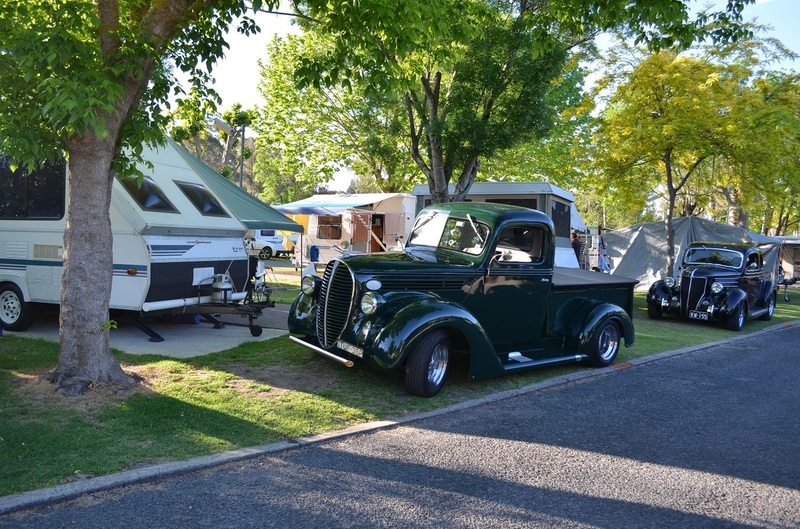 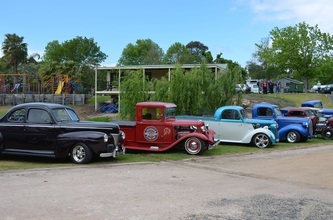 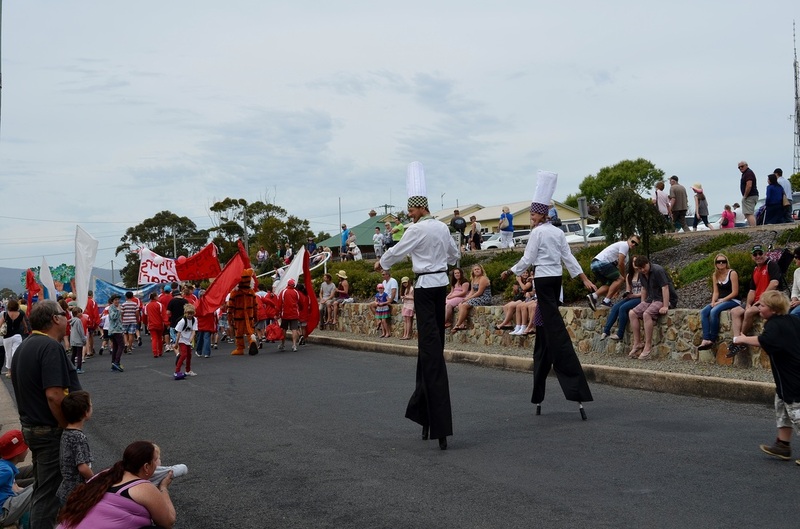 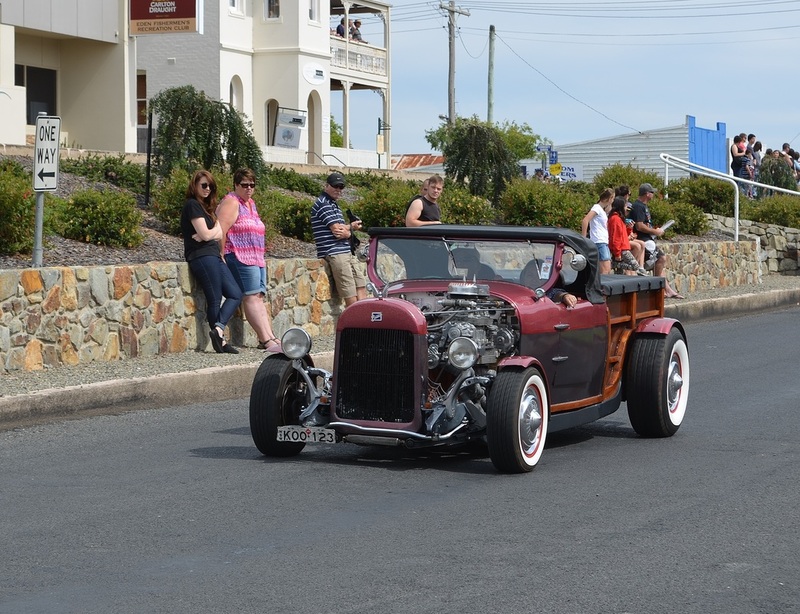 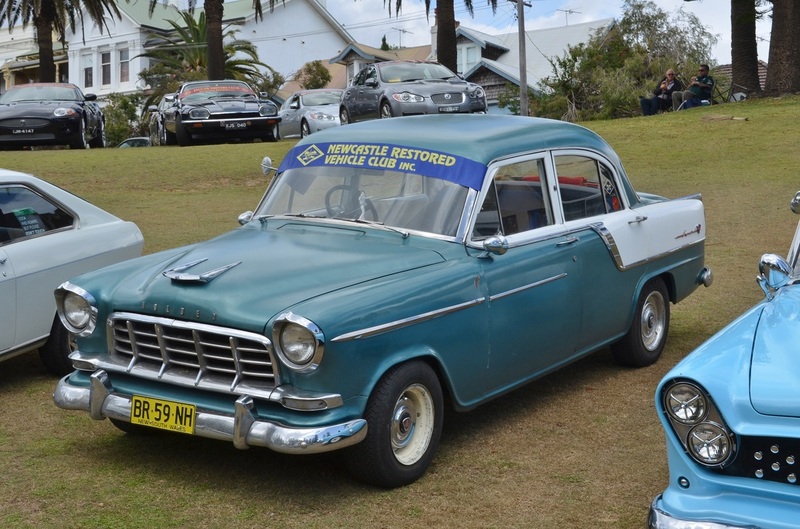 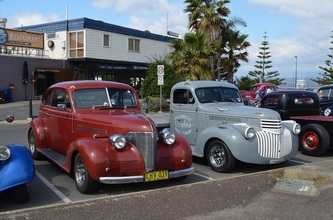 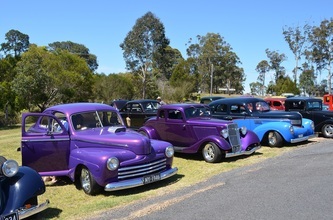 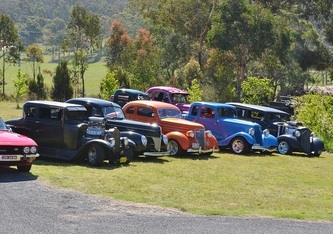 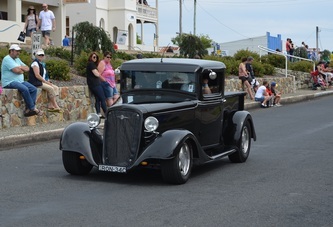 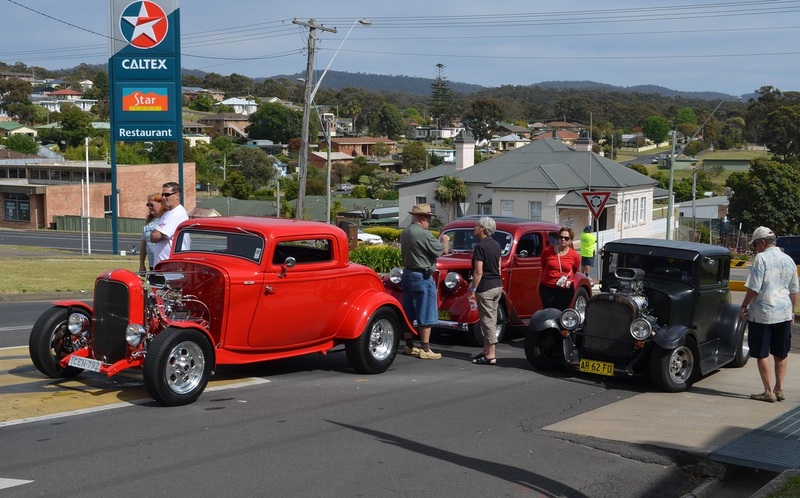 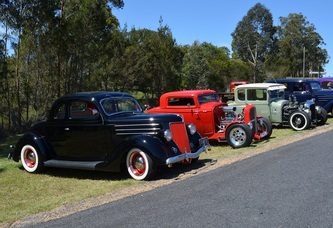 The Eden Whale Festival Rod Run hosted by Shoalhaven Street Rod Club was another very successful event and is starting to be noticed by many rodders. 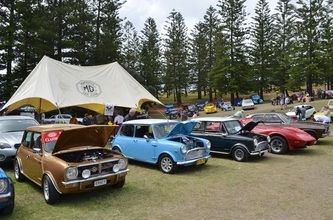 This year they had nearly 50 entrants and with the maximum number of entrants now increased to 60 it will not be long before this will be a sold out event every year. 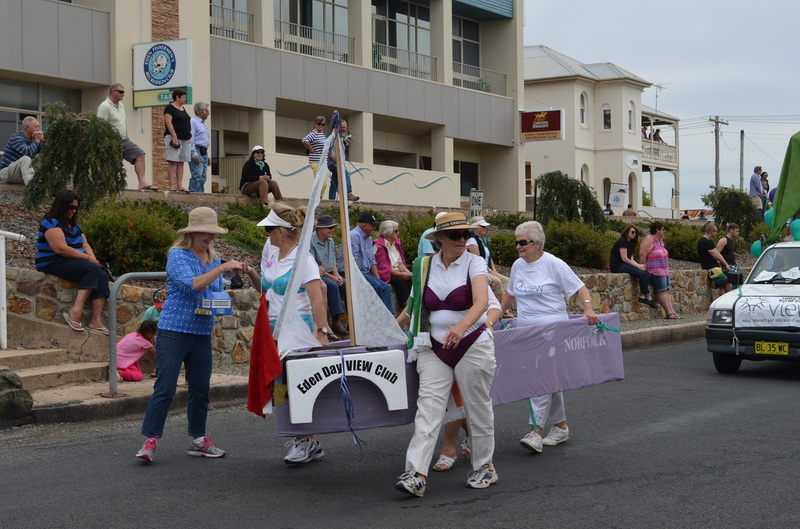 If you attend this run expect to be spoiled by your hosts and also to be kept busy with what has always been a wonderful itinerary. 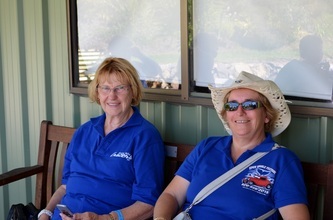 A good time, great company and this year we even saw whales in the bay, it's no wonder we have booked for next year already.